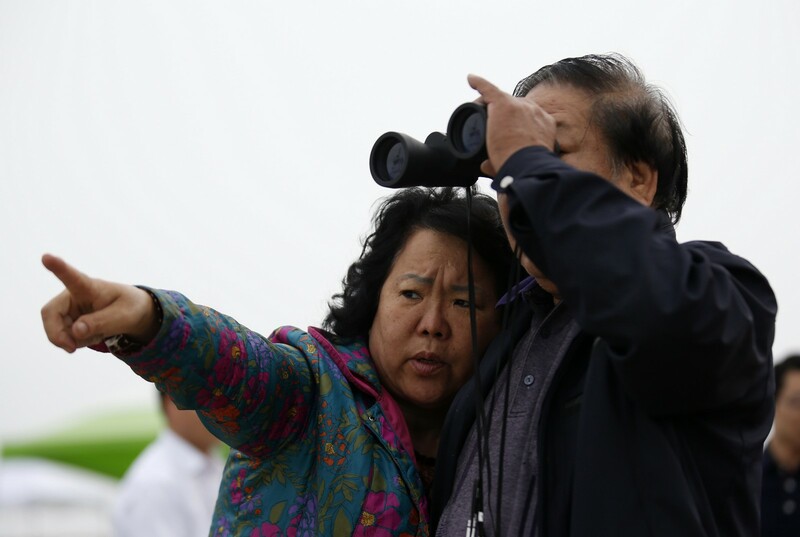 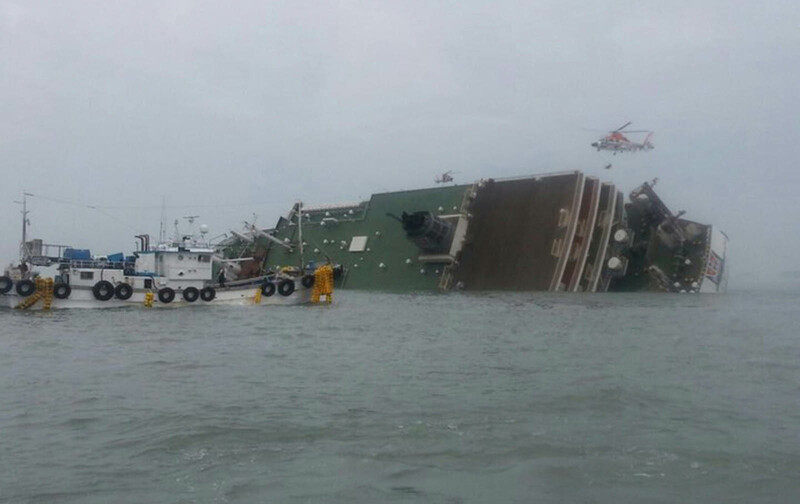 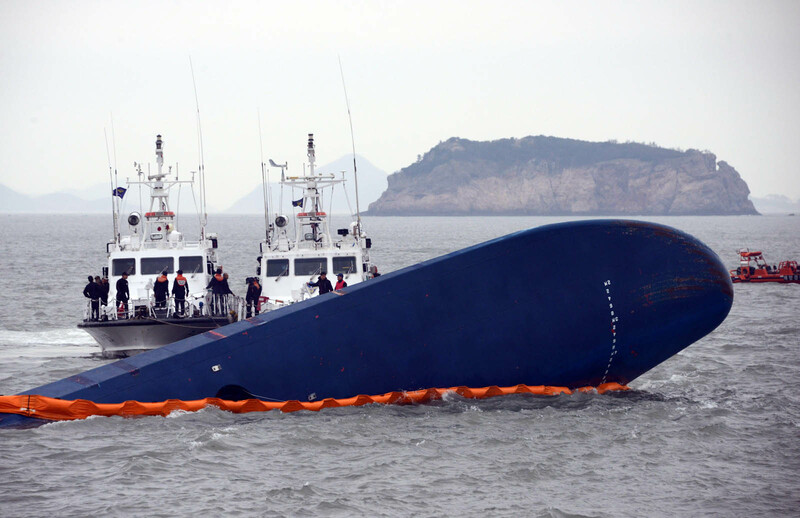 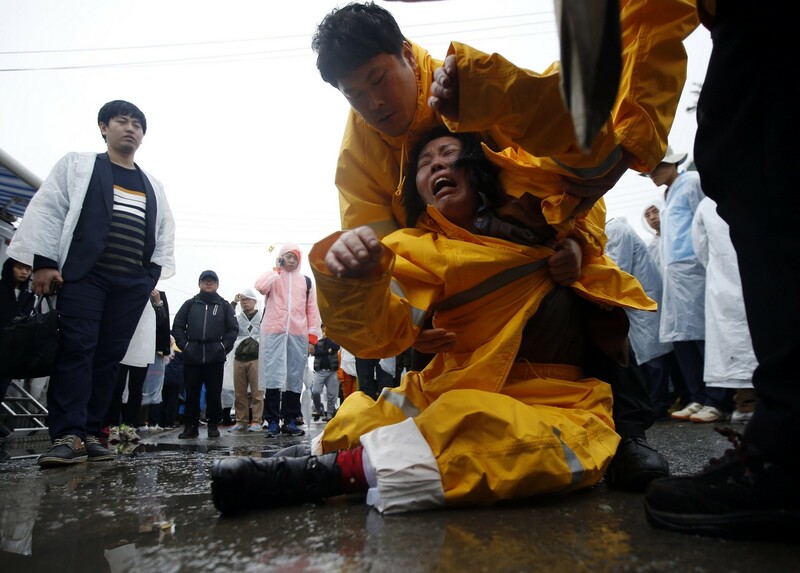 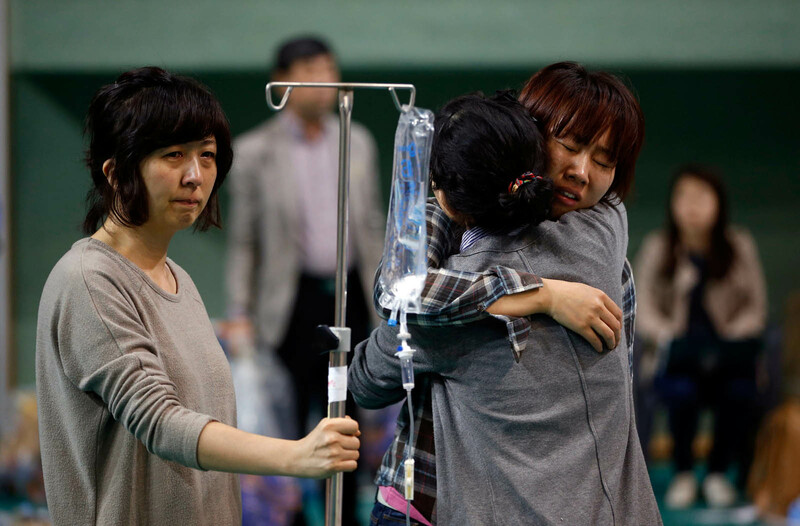 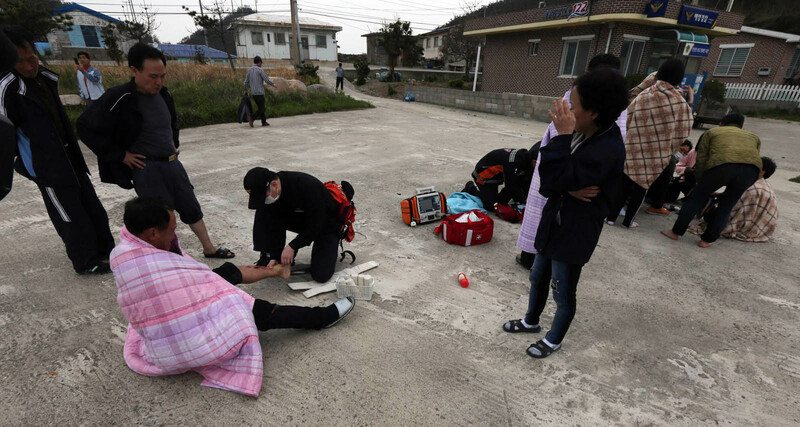 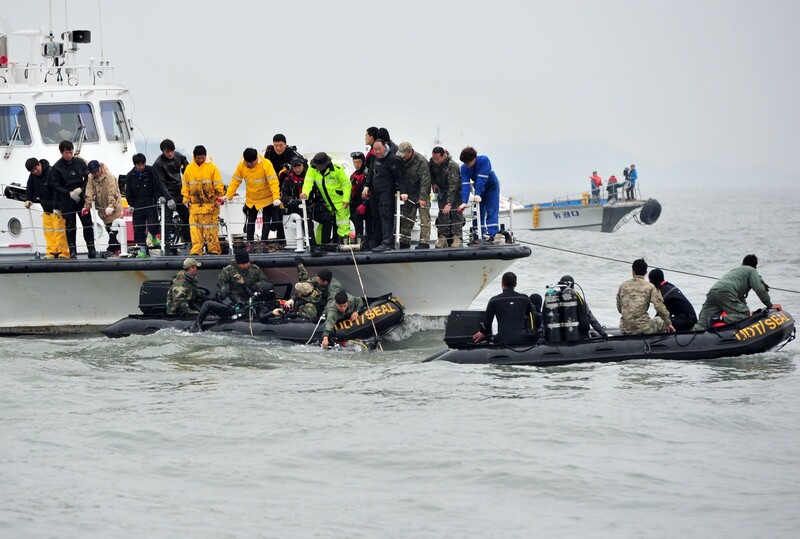 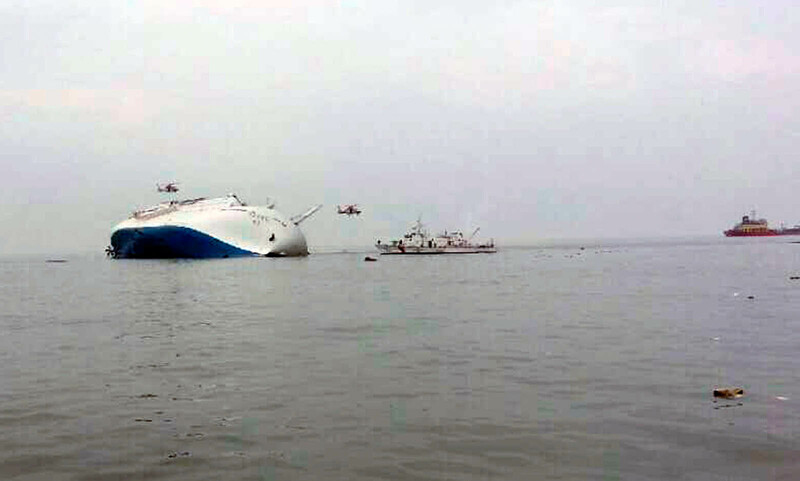 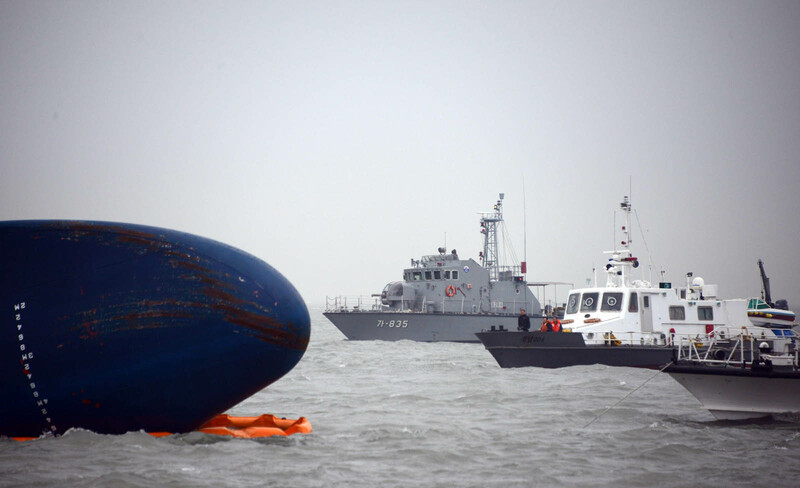 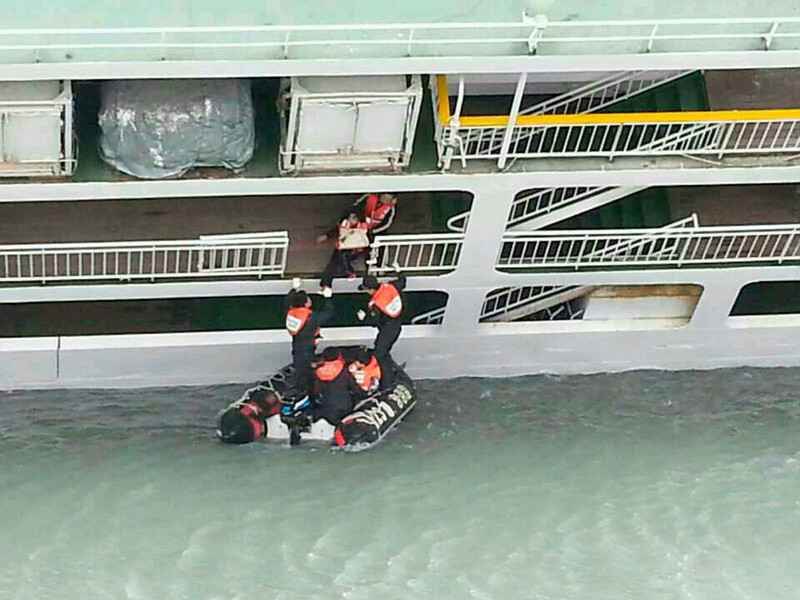 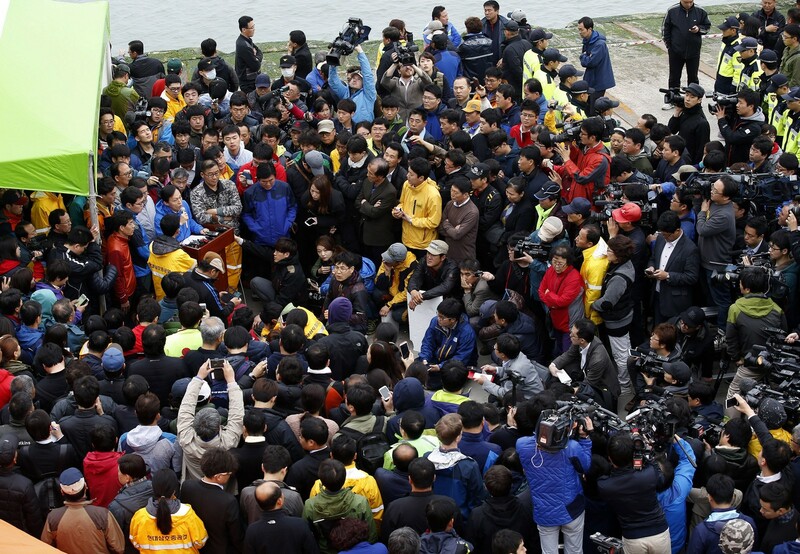 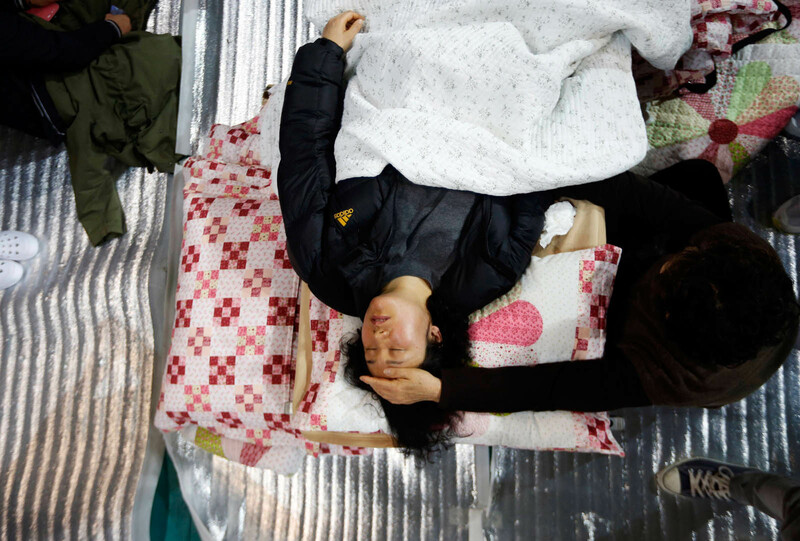 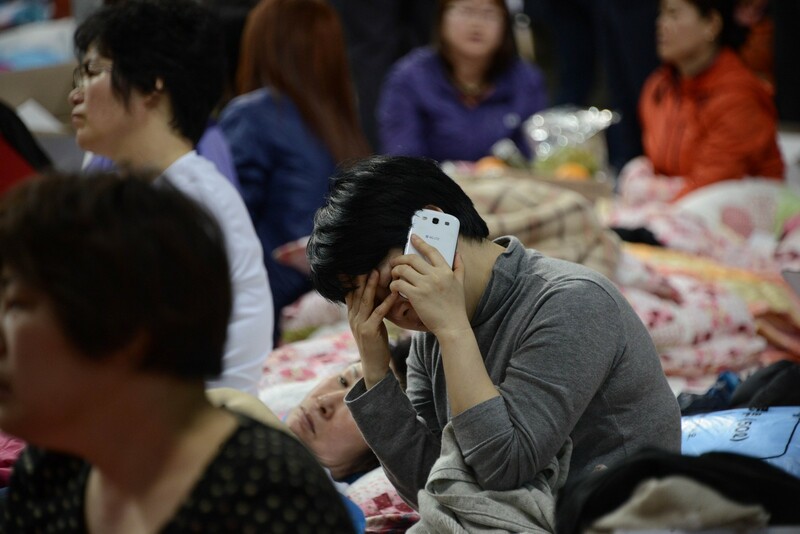 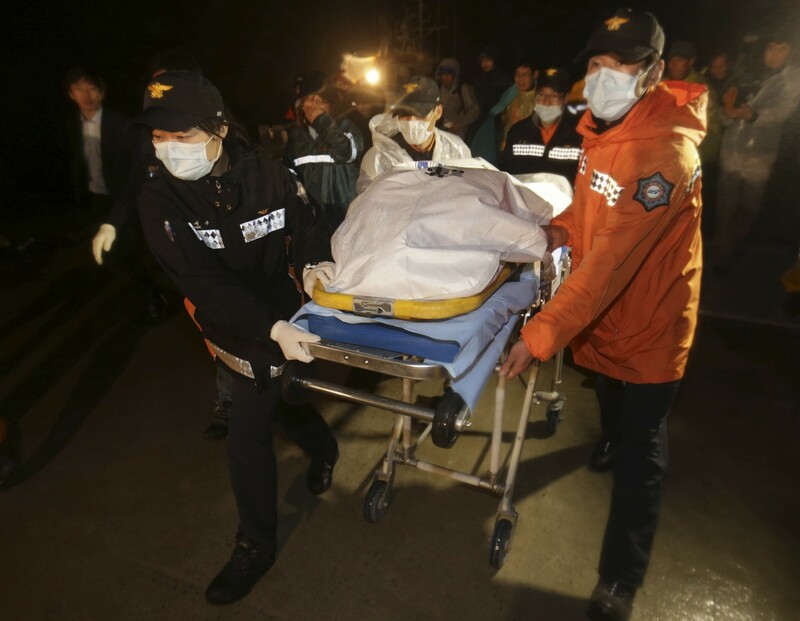 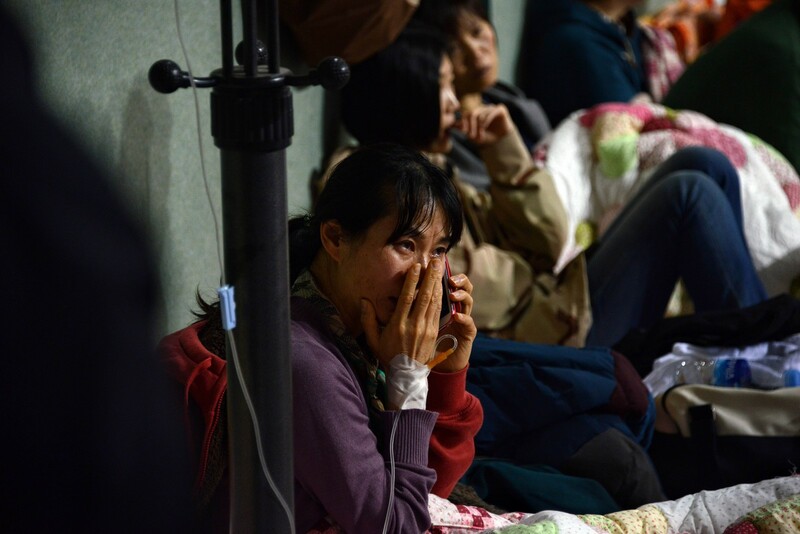 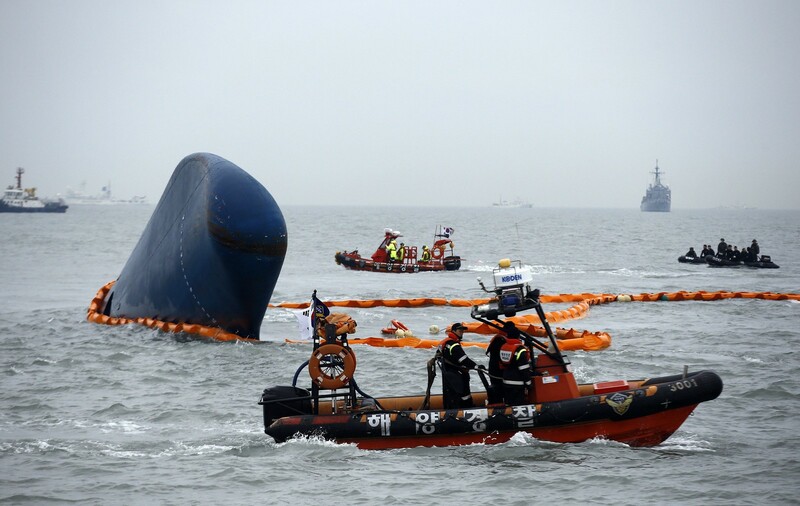 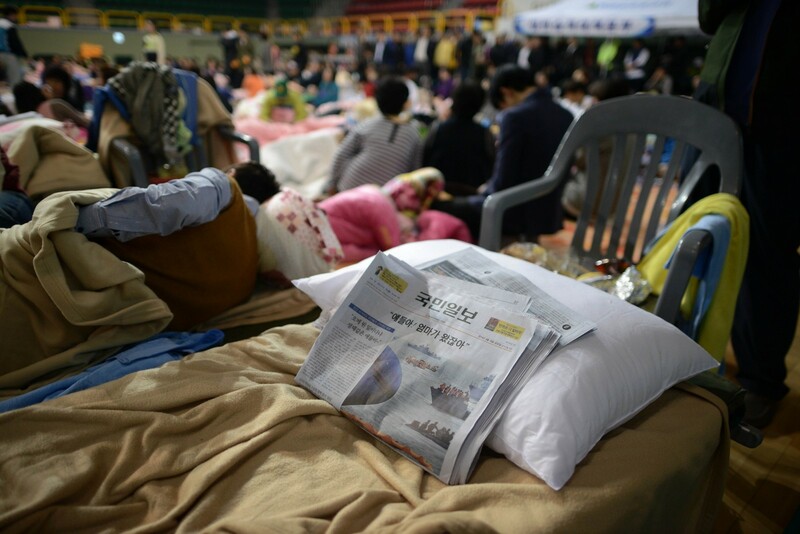 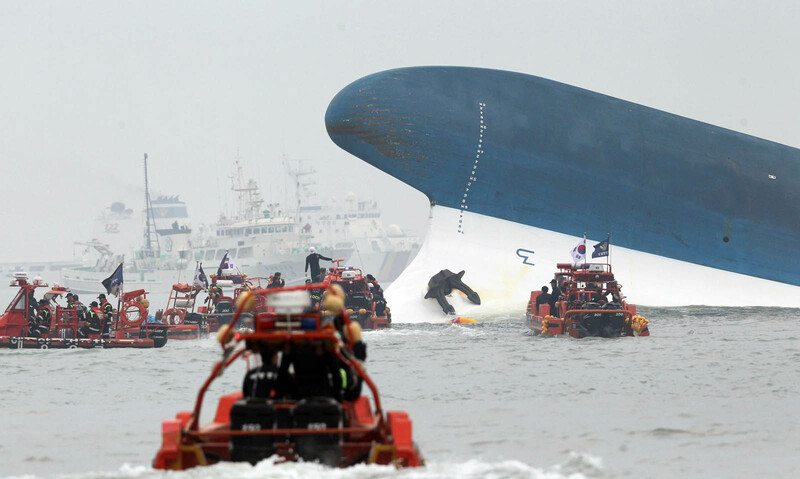 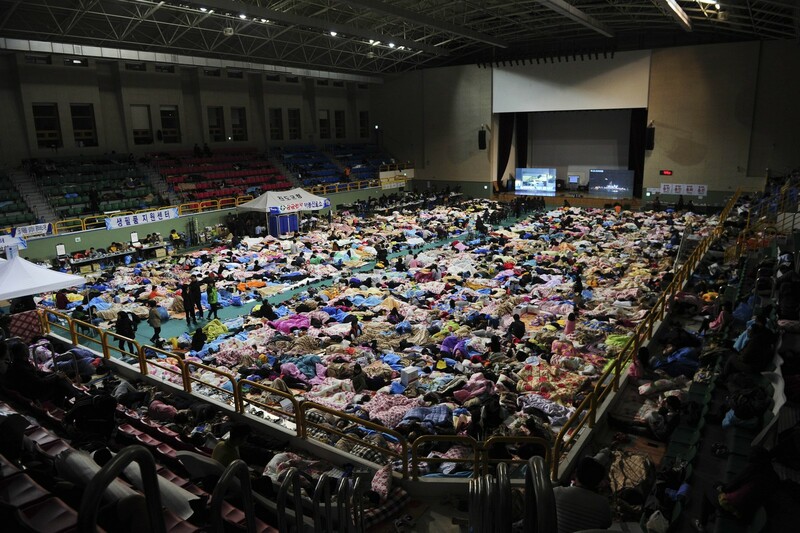 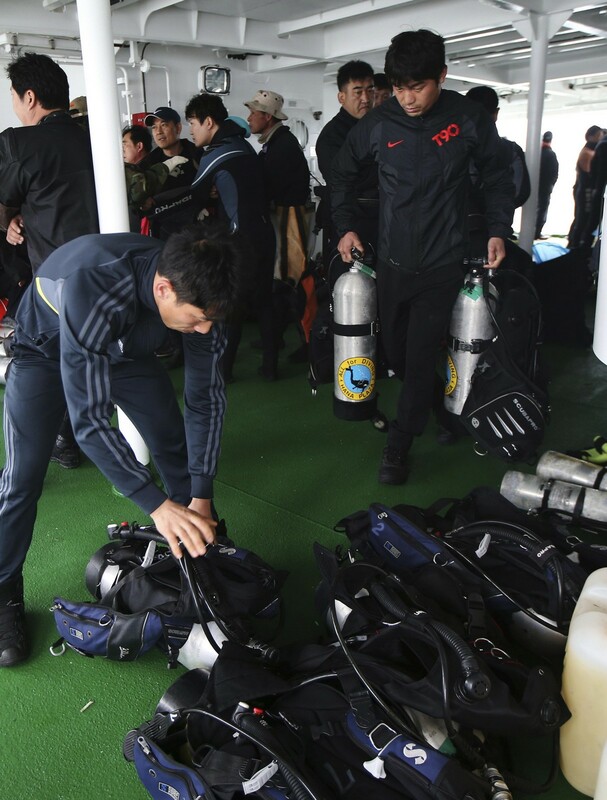 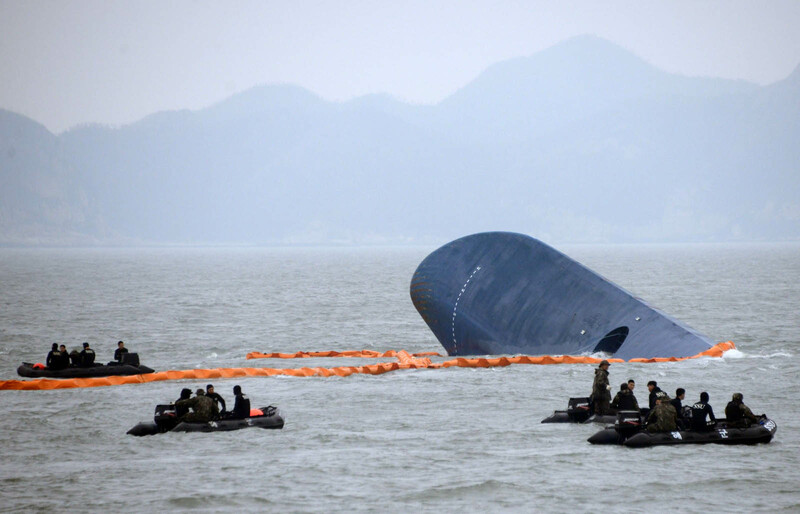 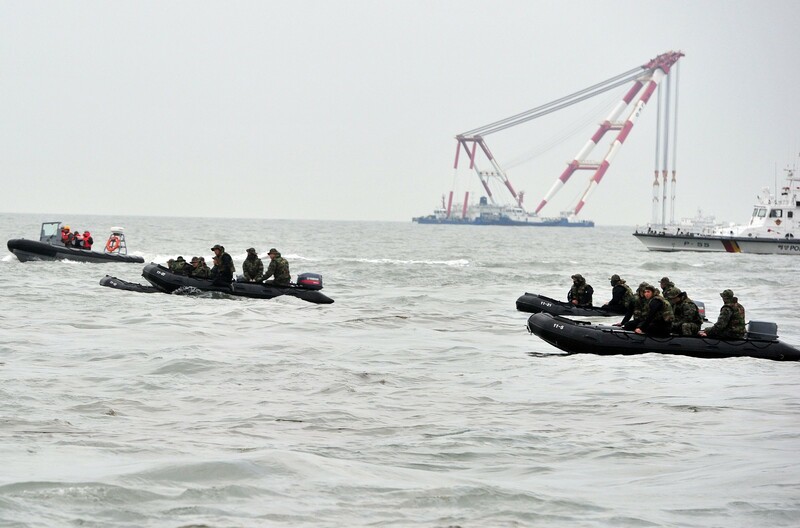 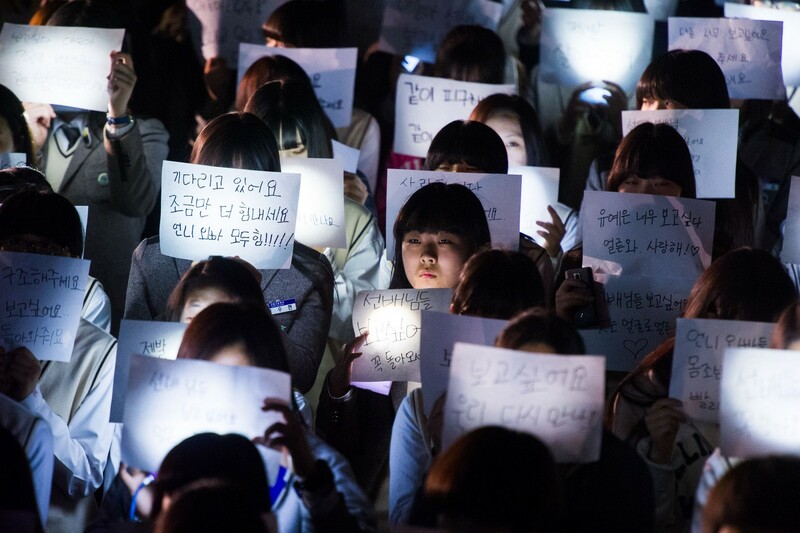 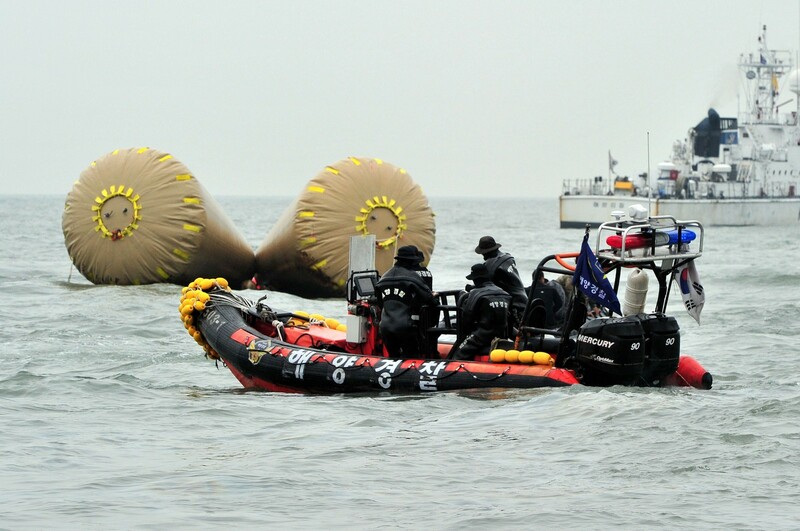 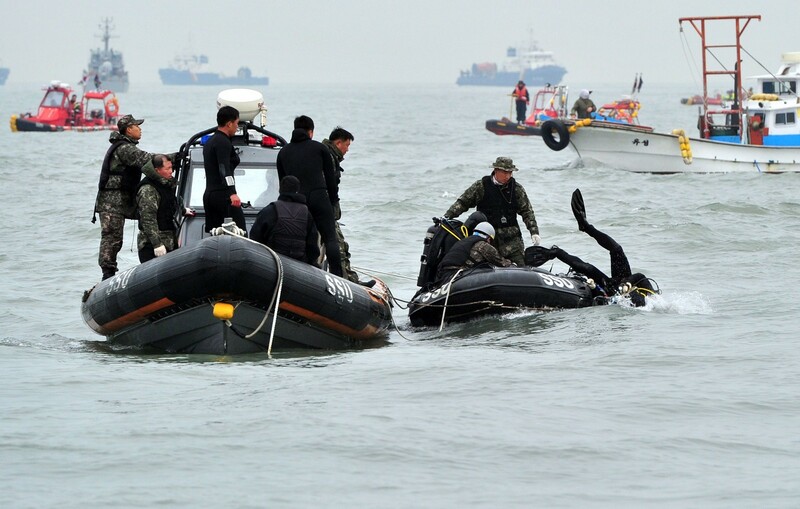 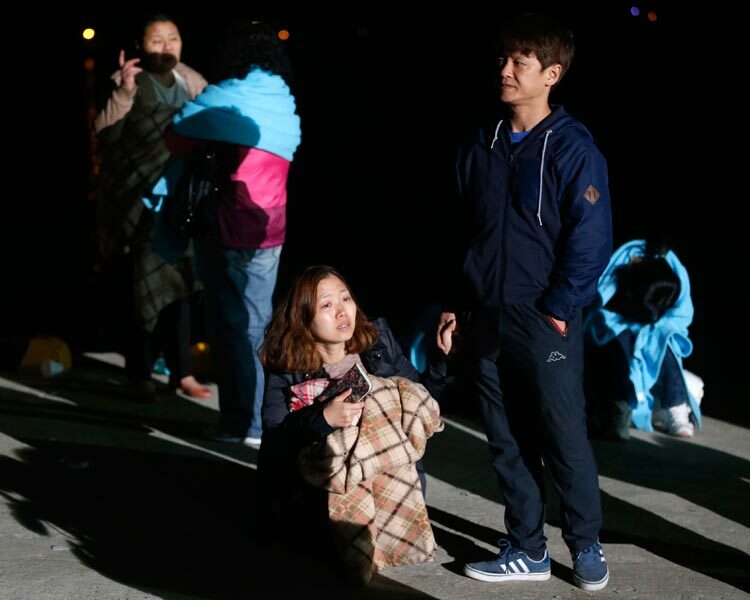 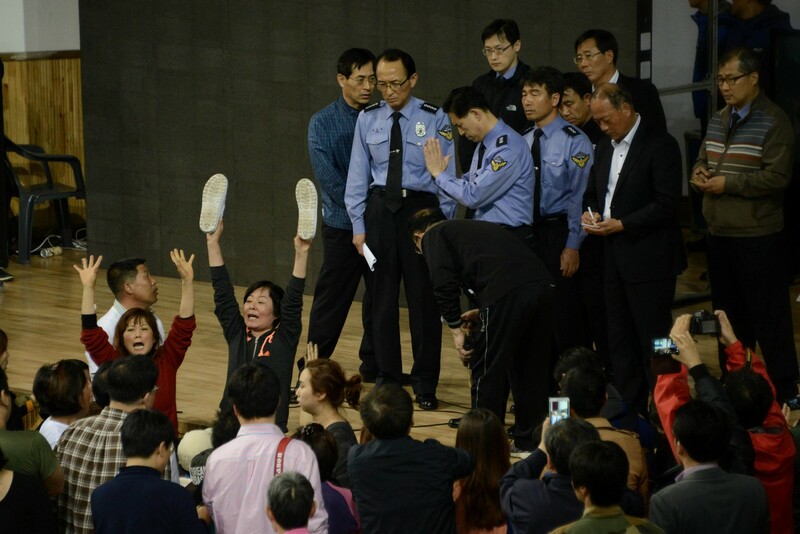 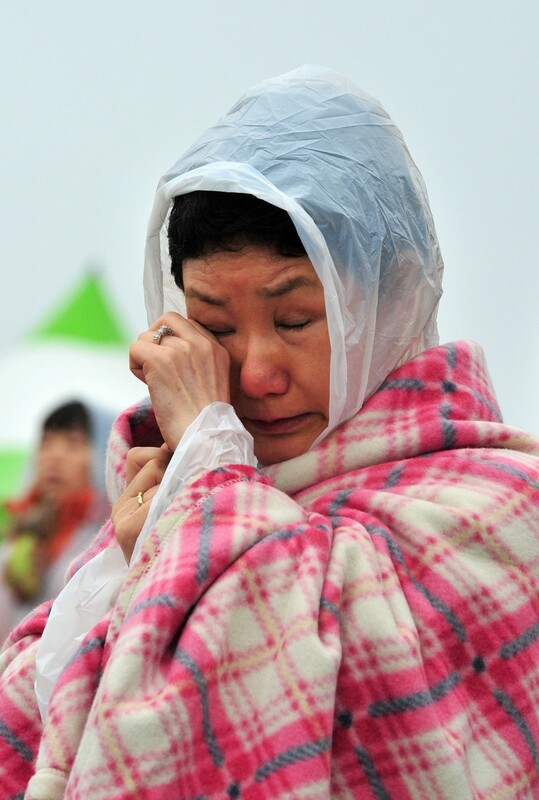 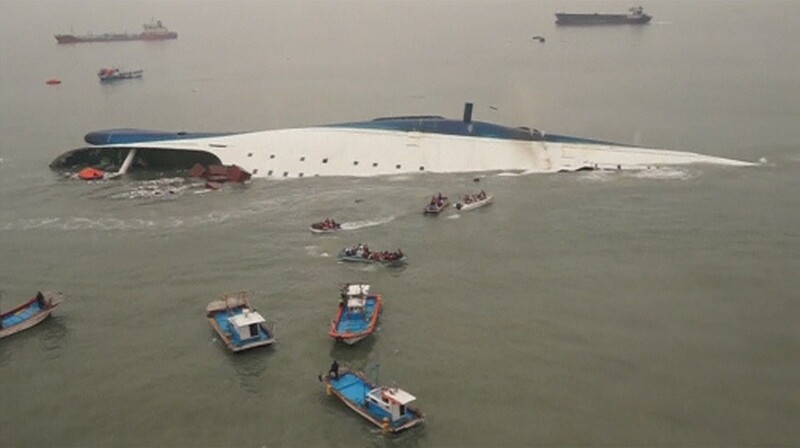 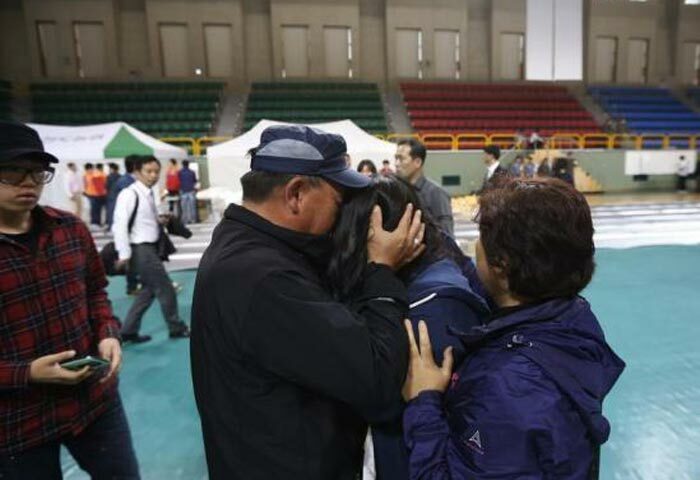 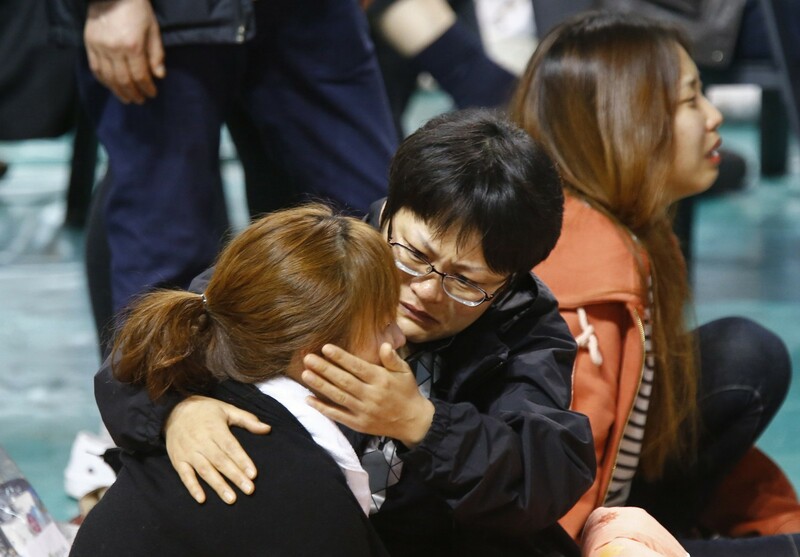 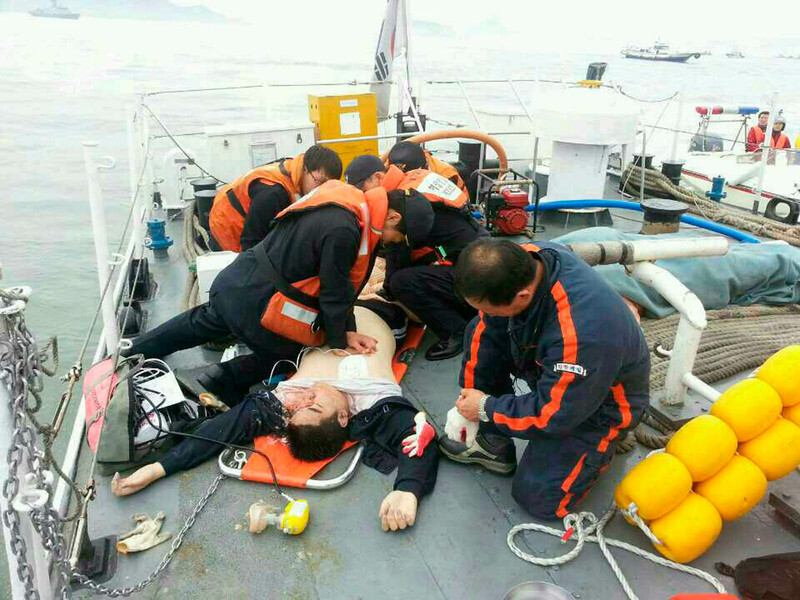 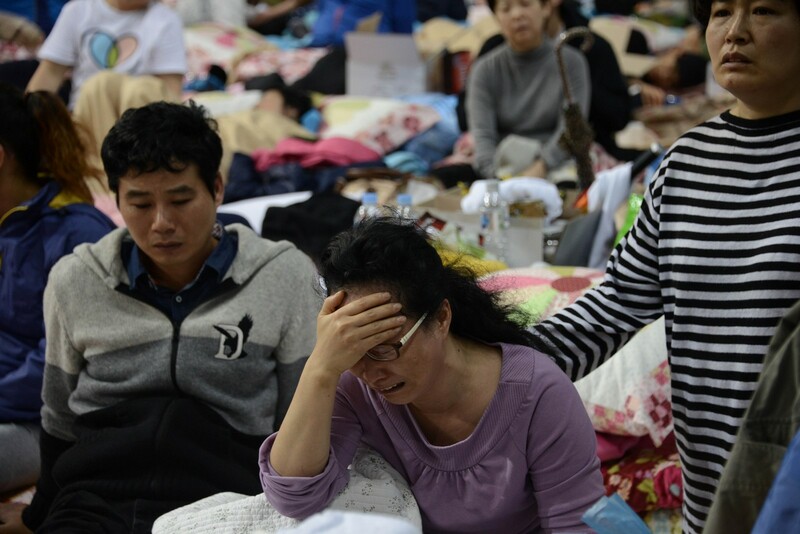 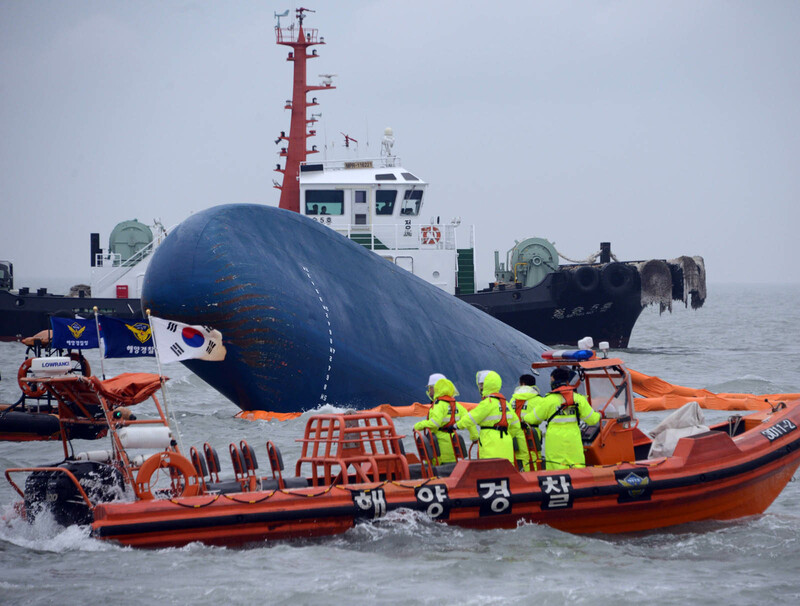 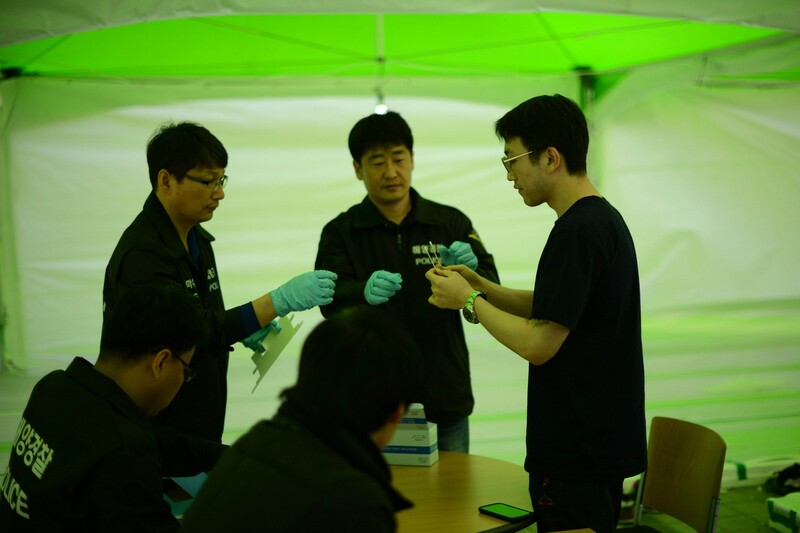 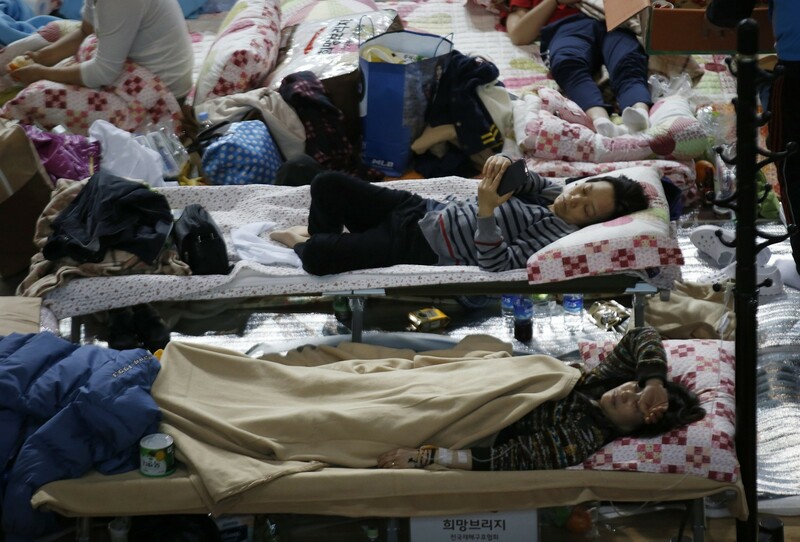 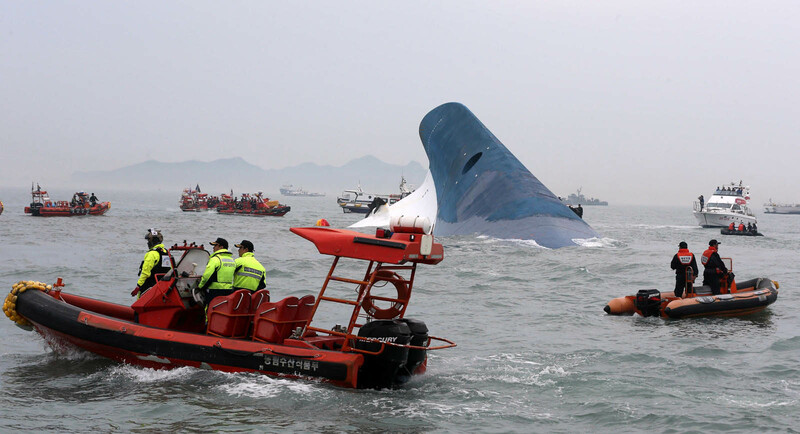 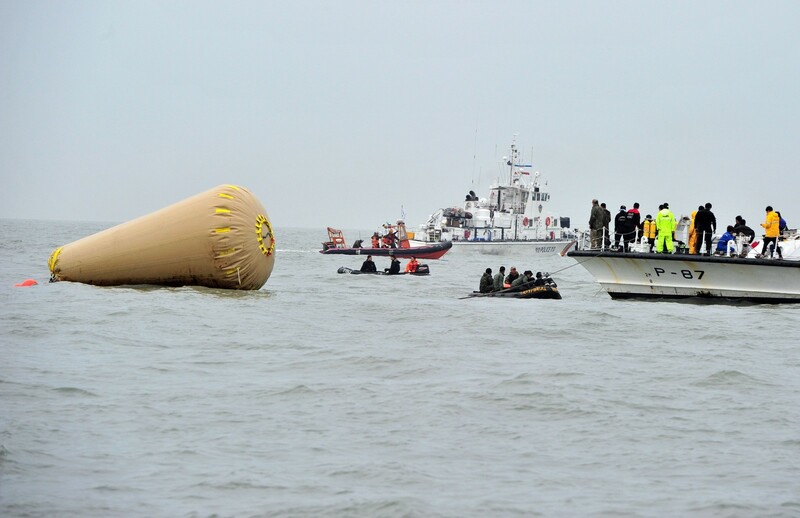 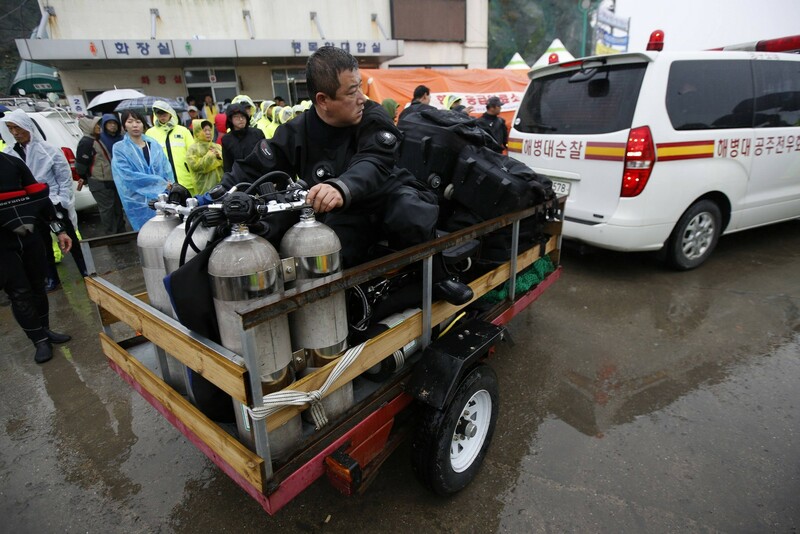 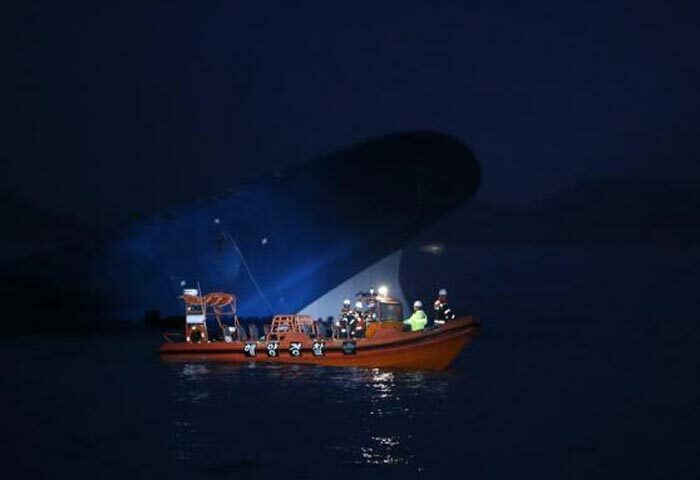 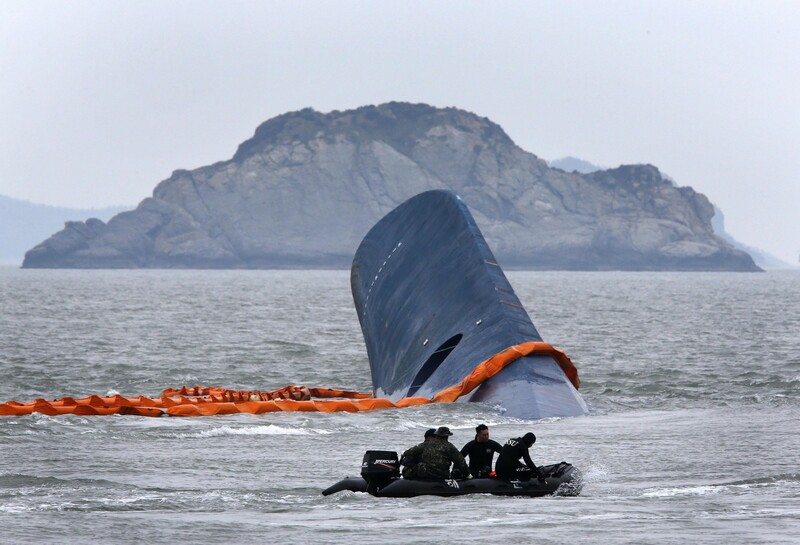 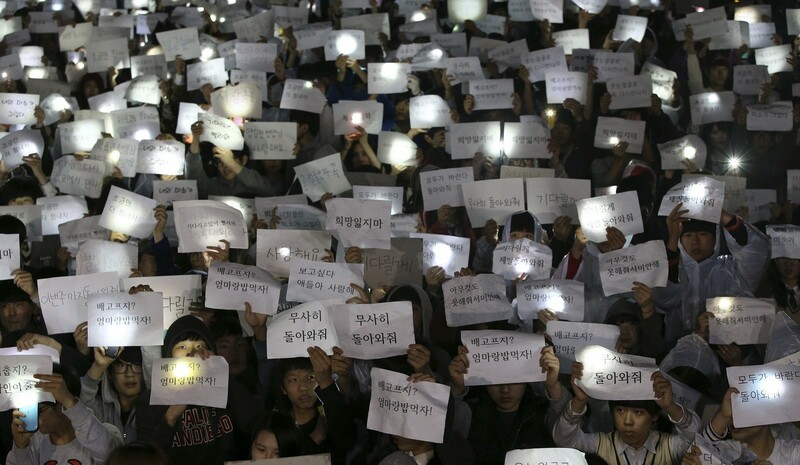 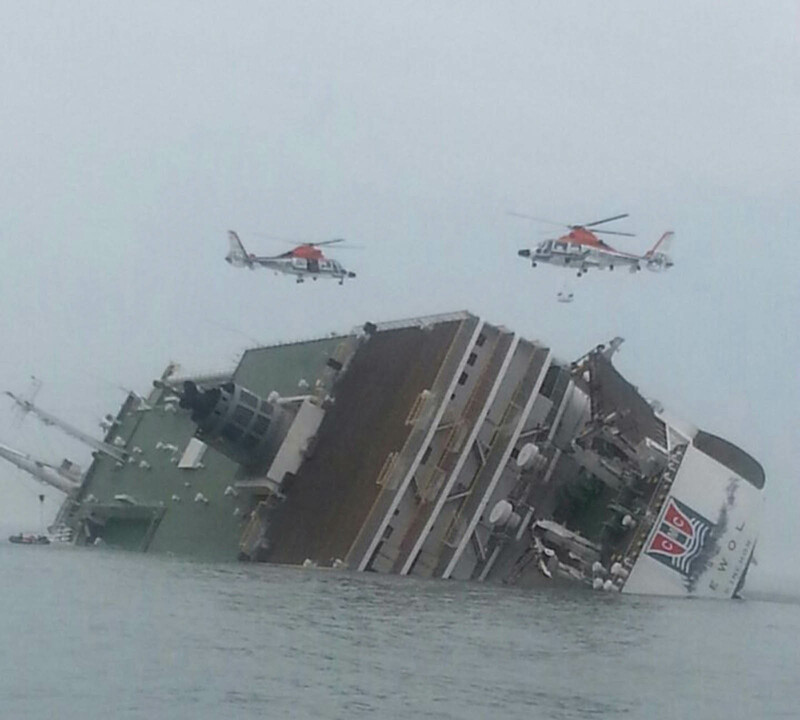 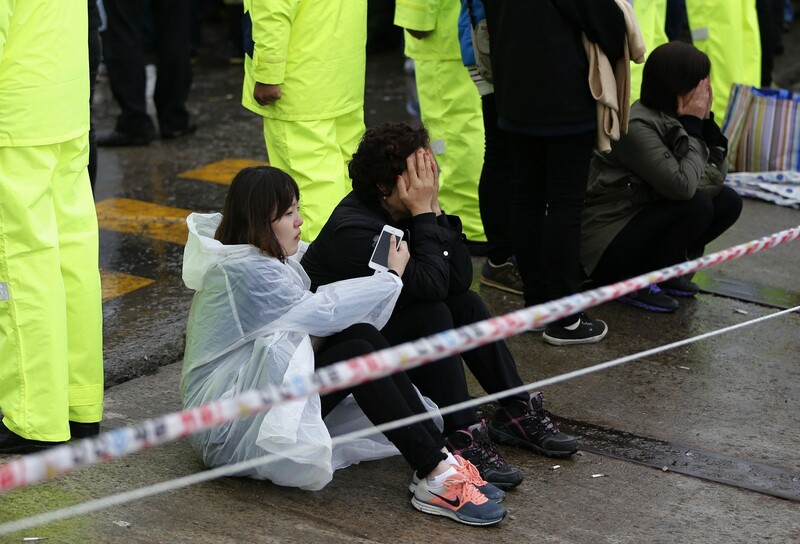 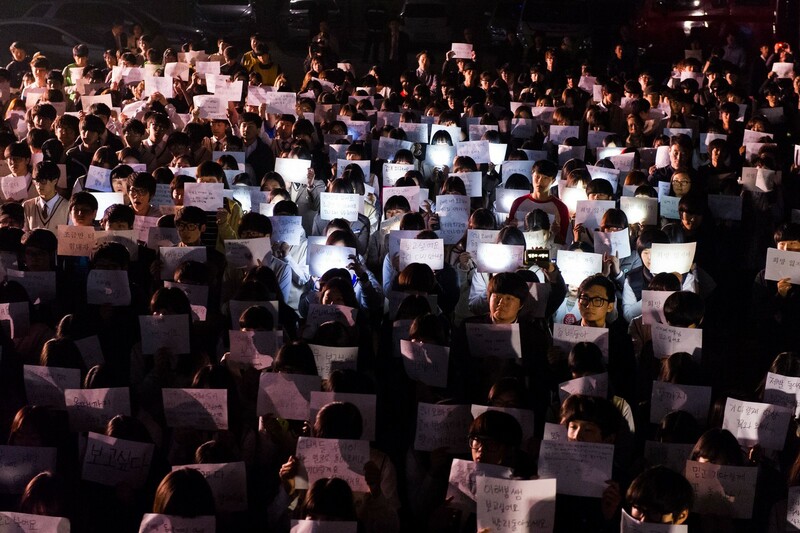 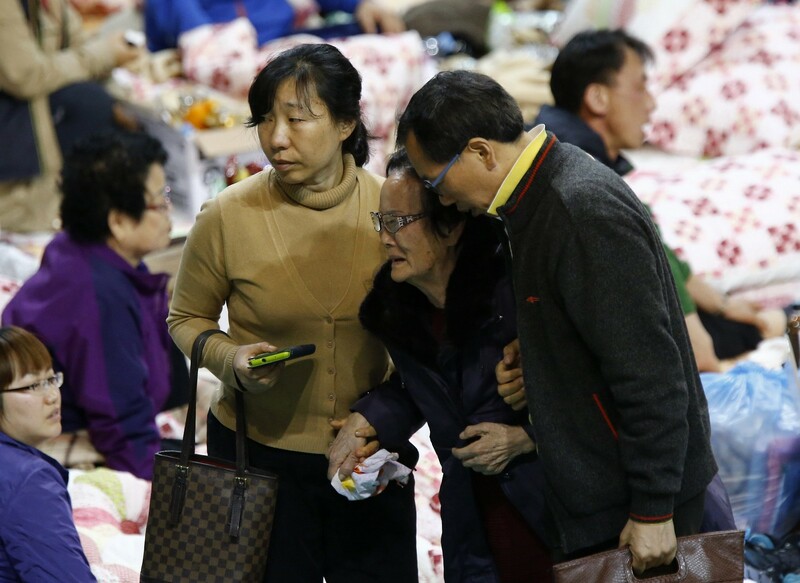 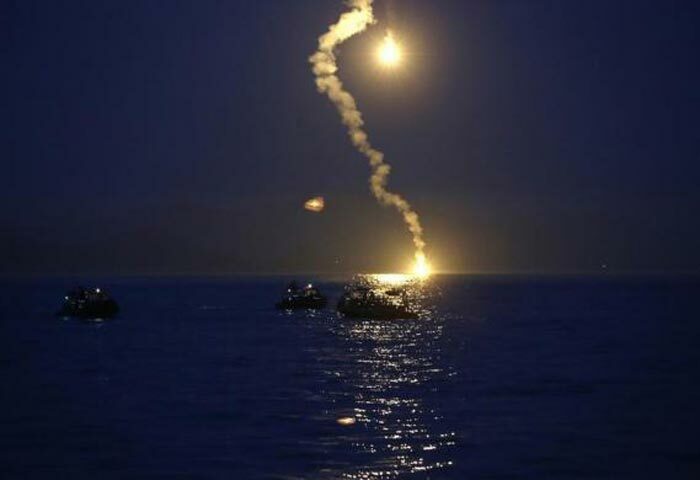 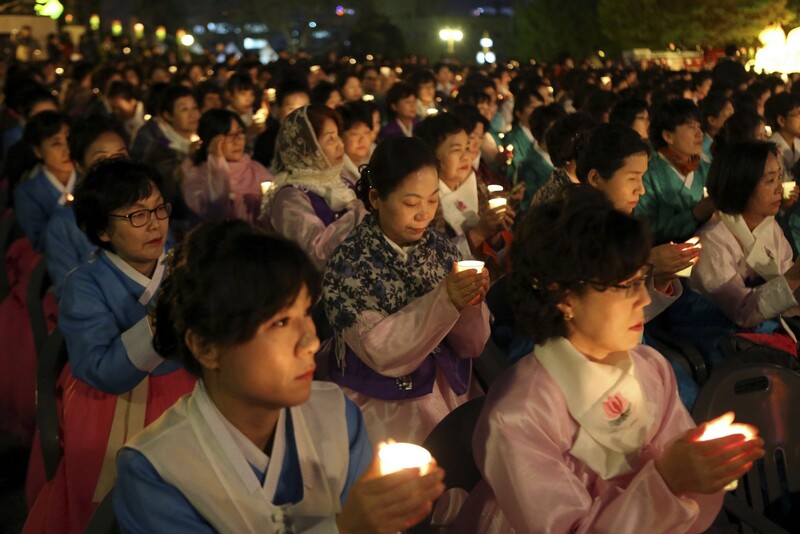 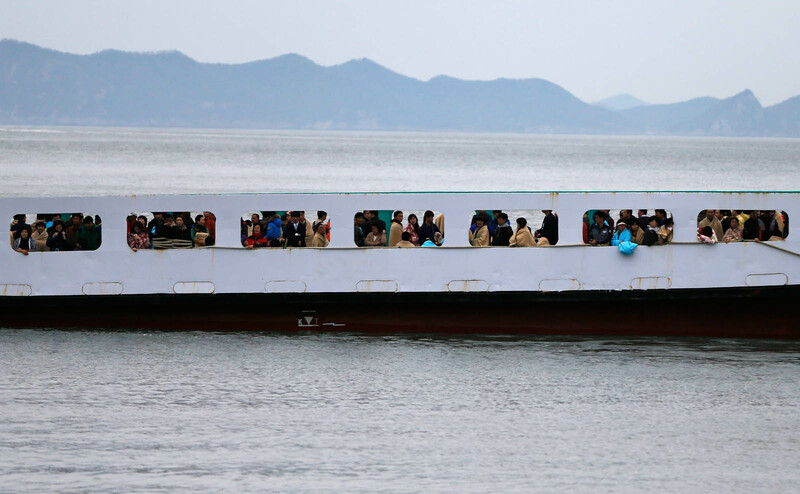 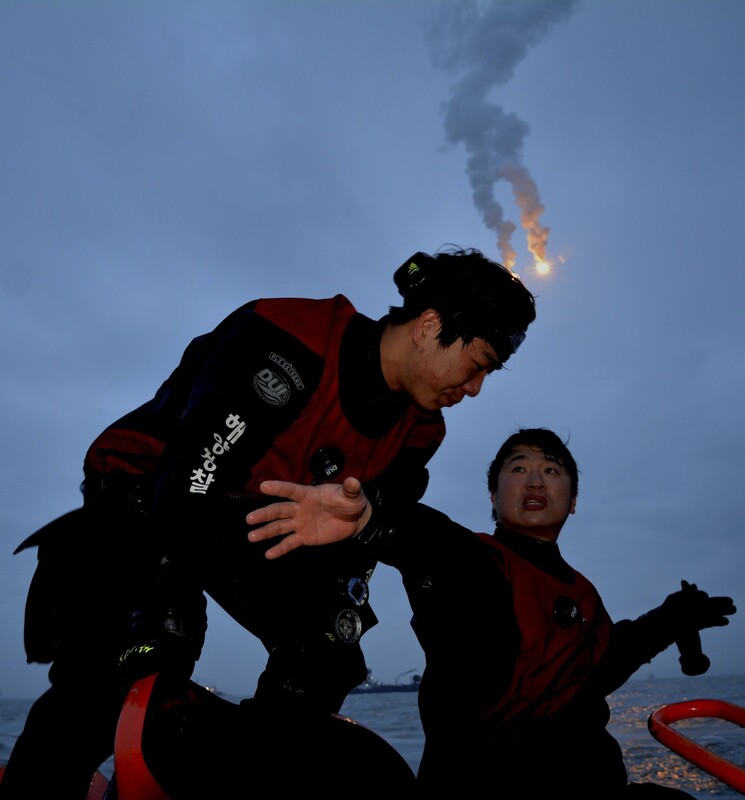 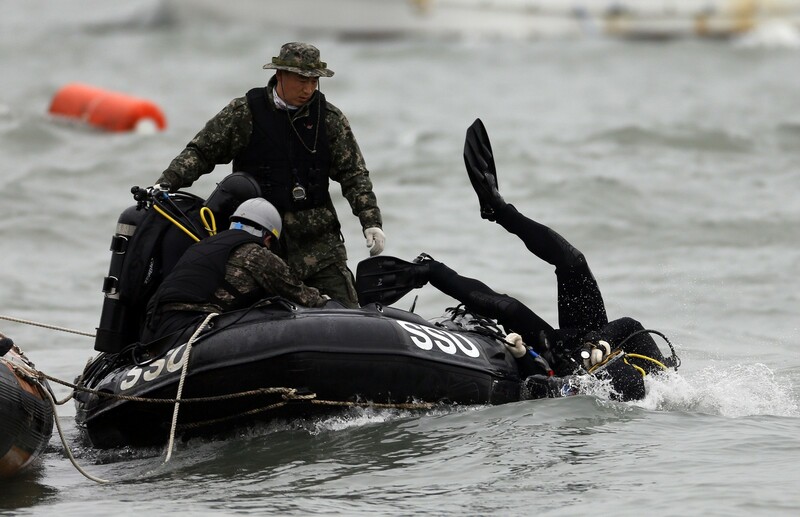 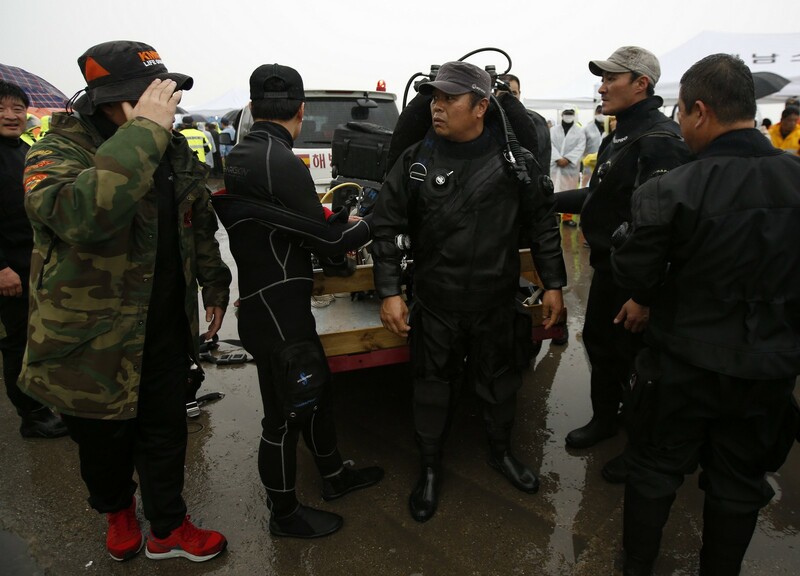 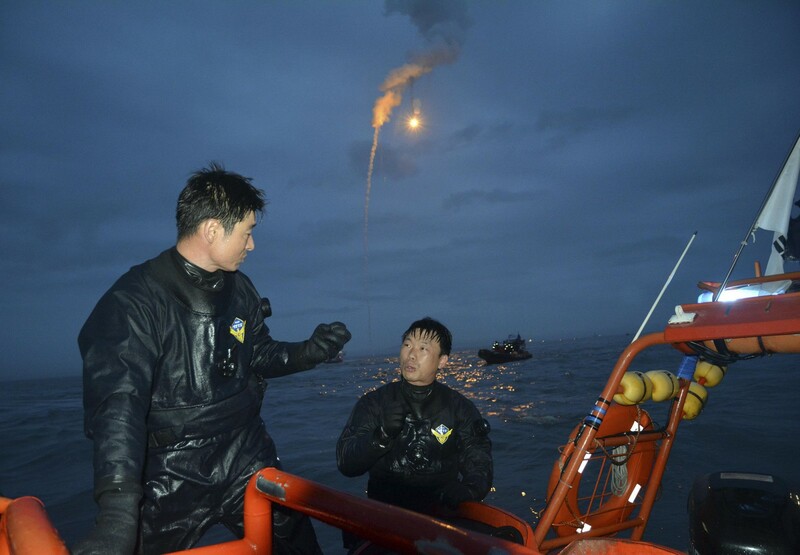 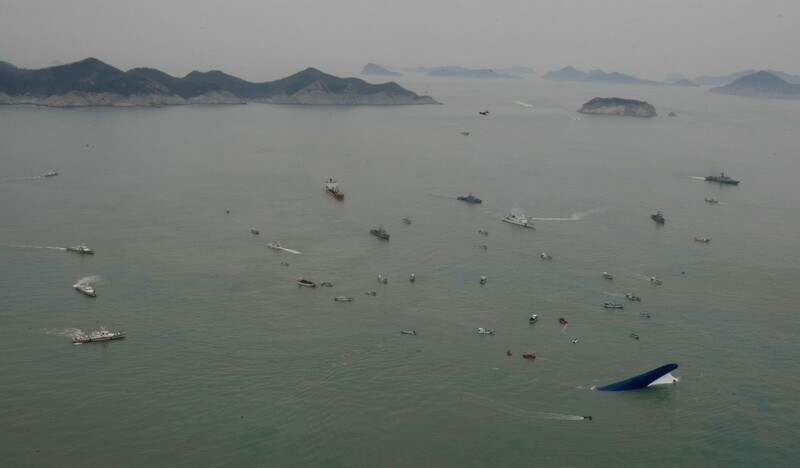 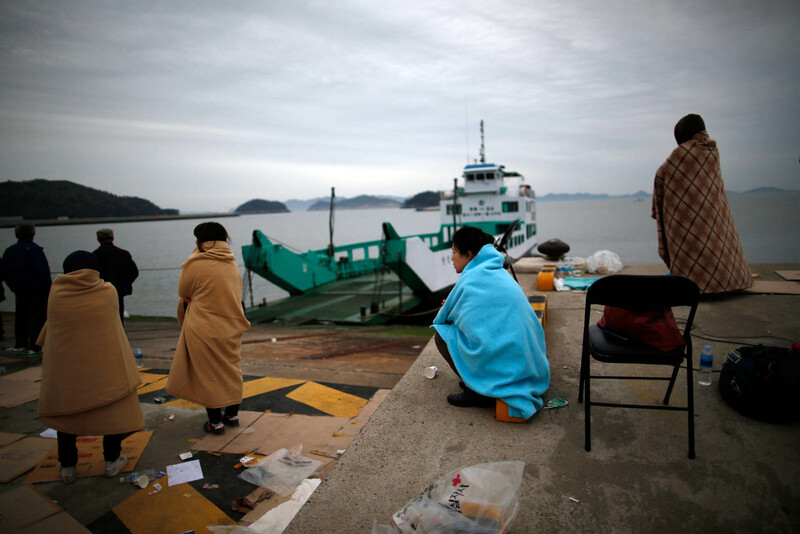 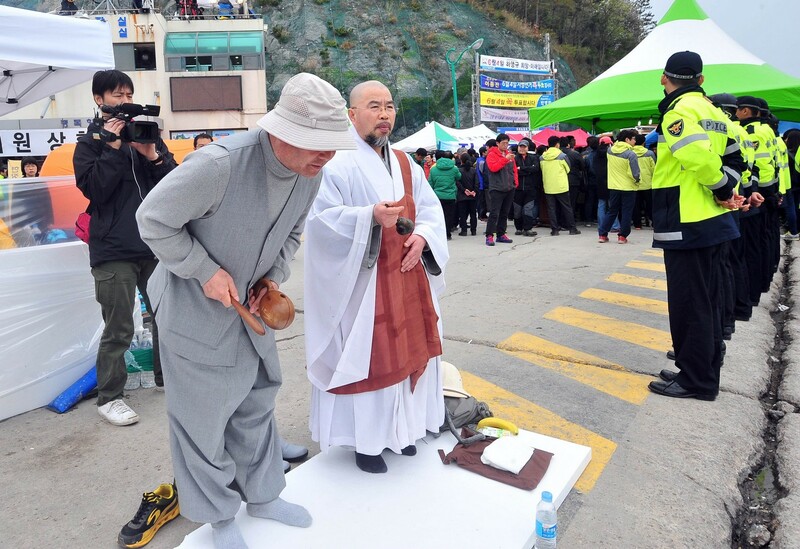 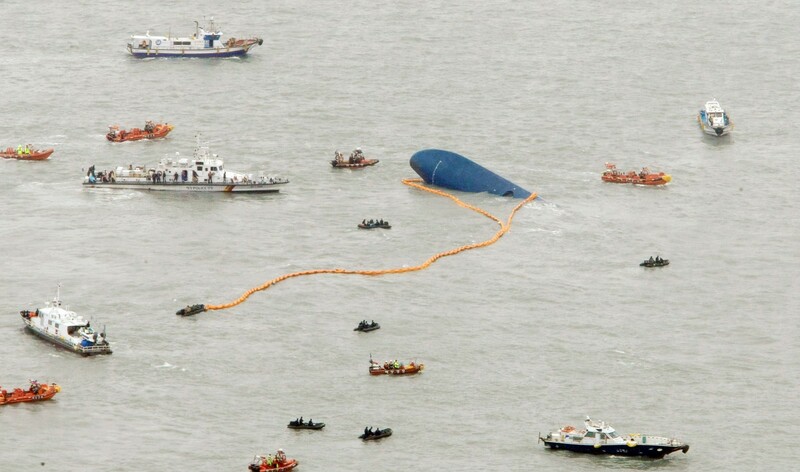 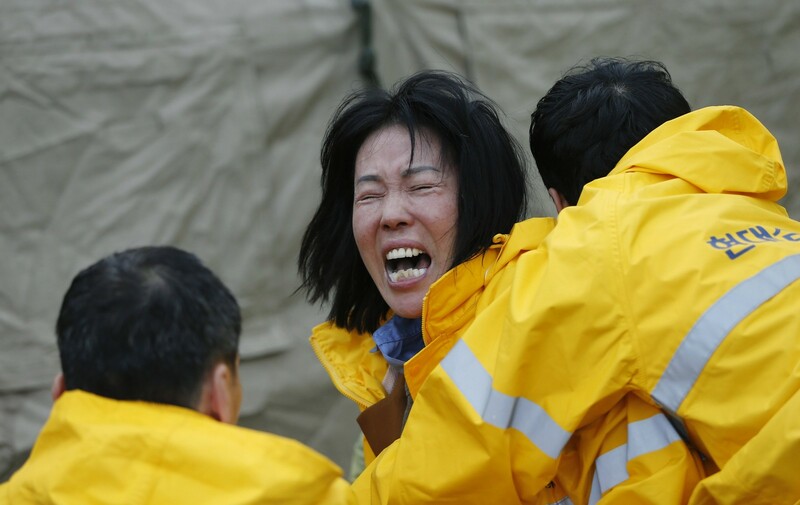 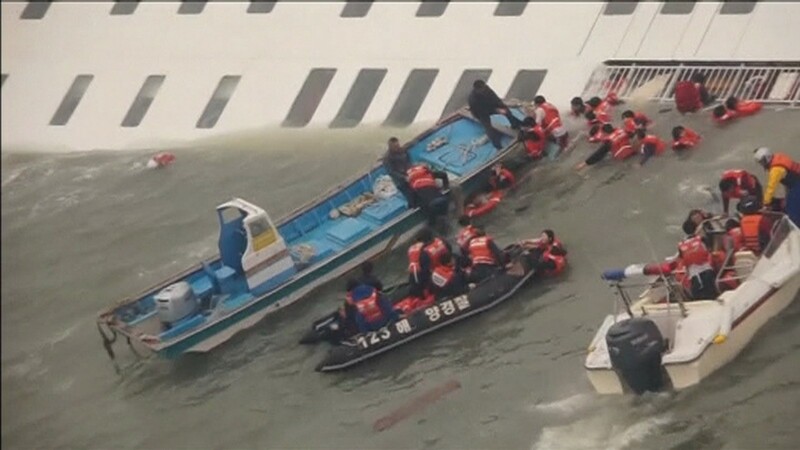 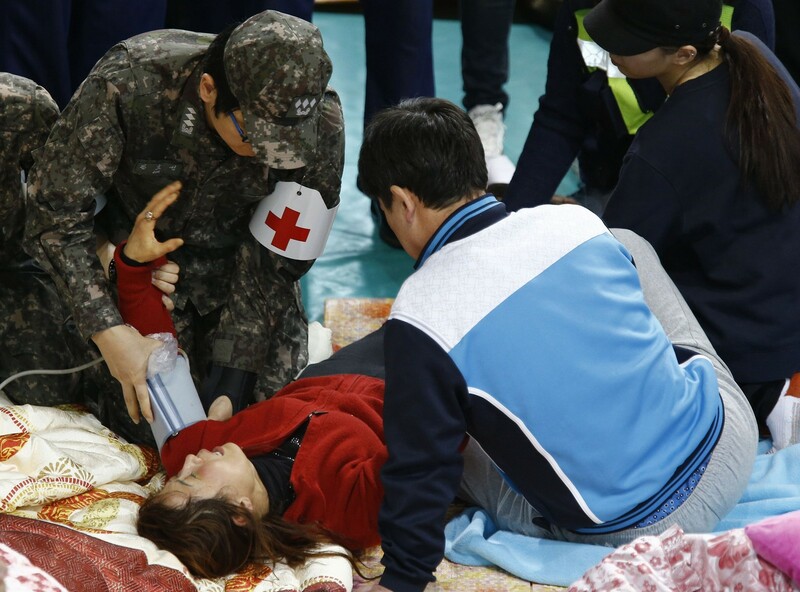 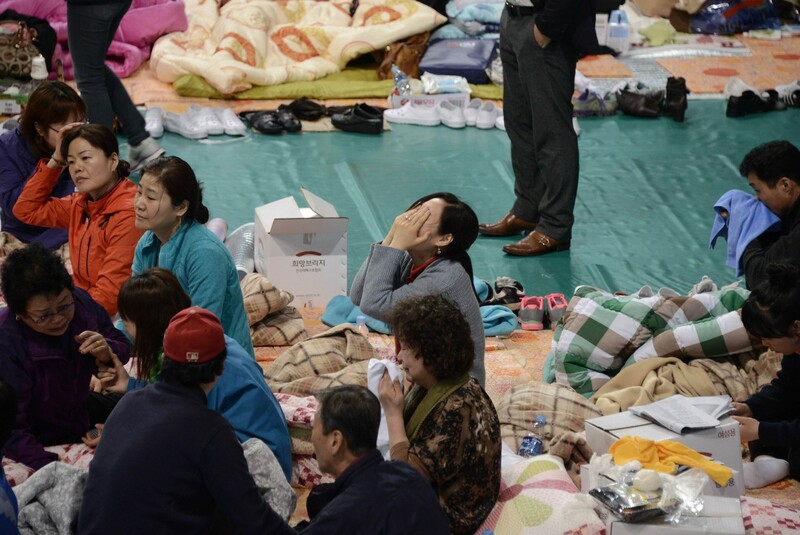 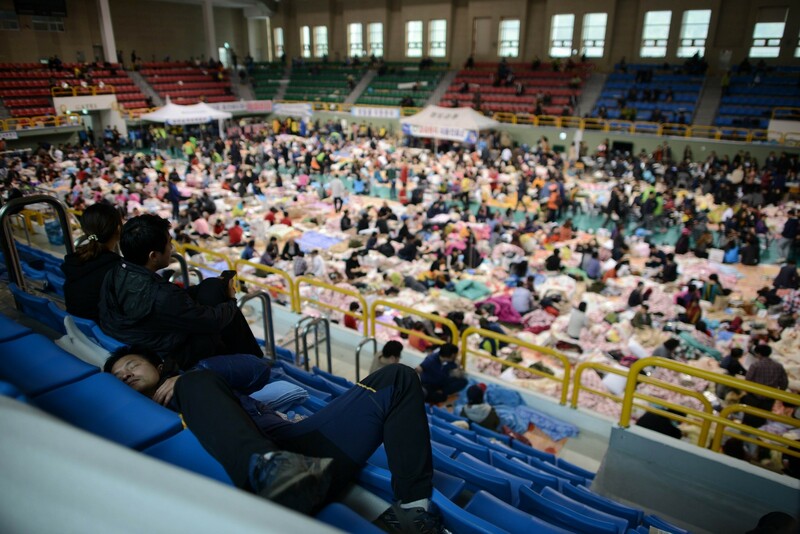 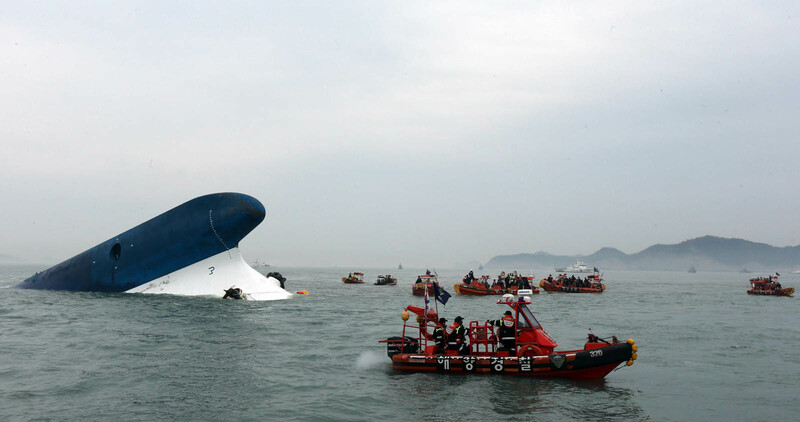 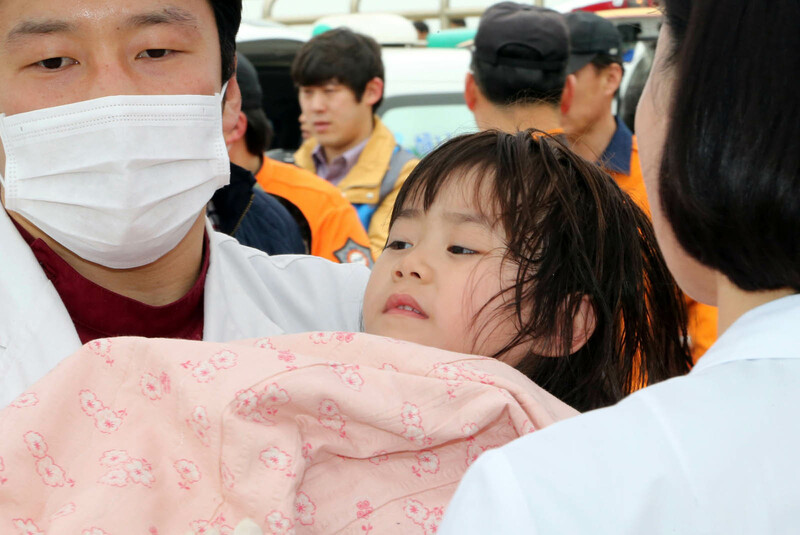 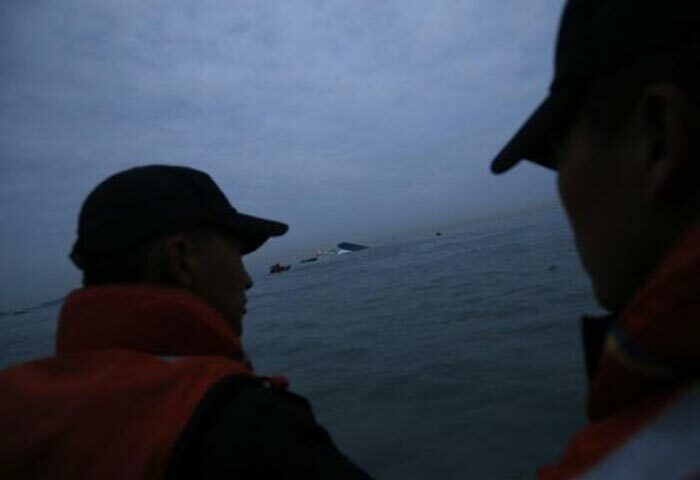 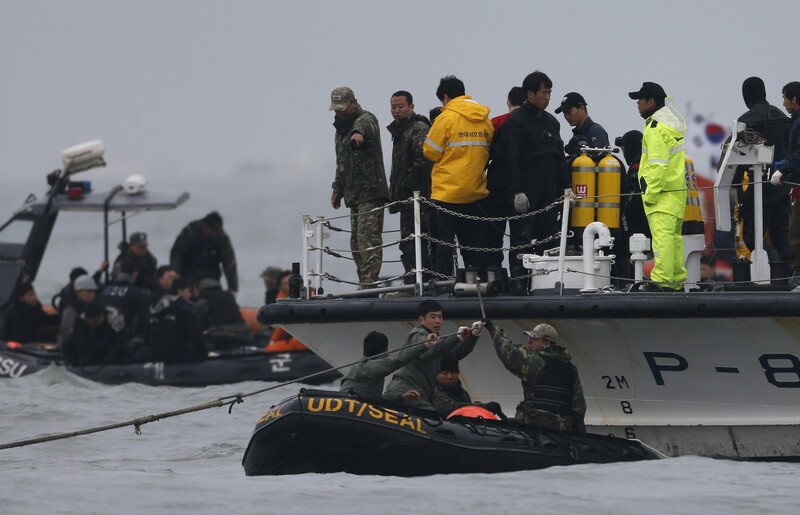 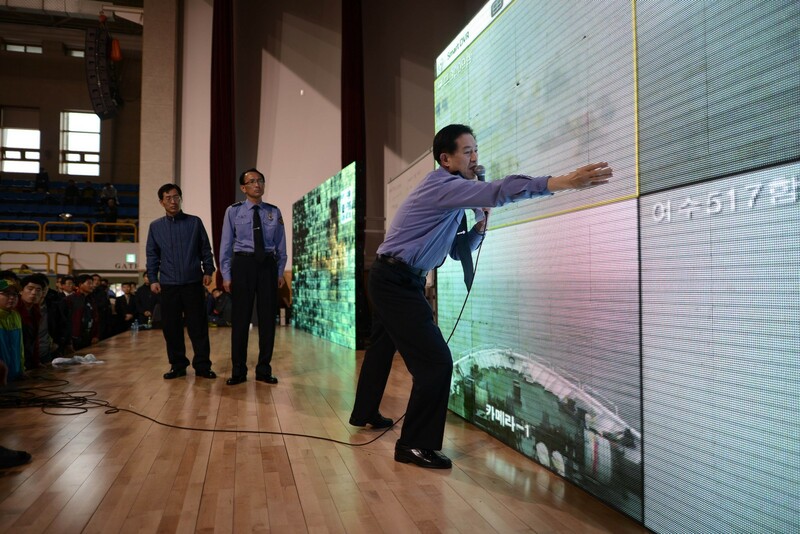 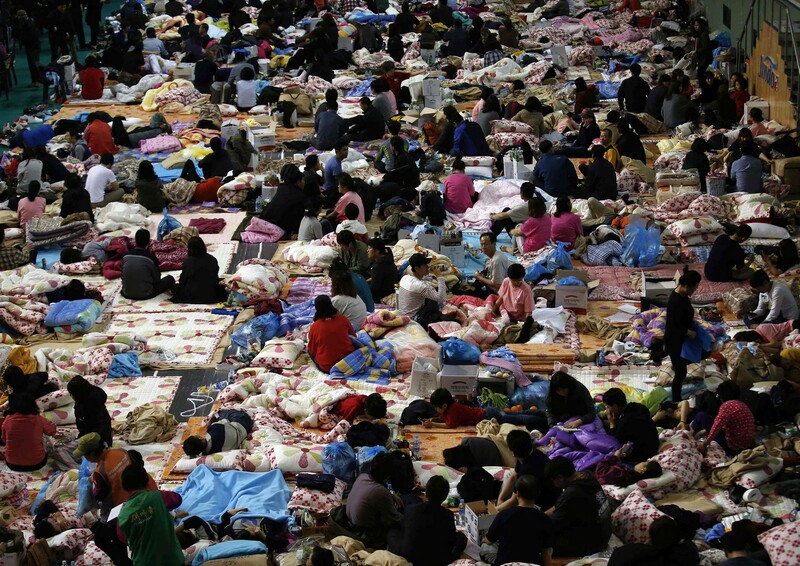 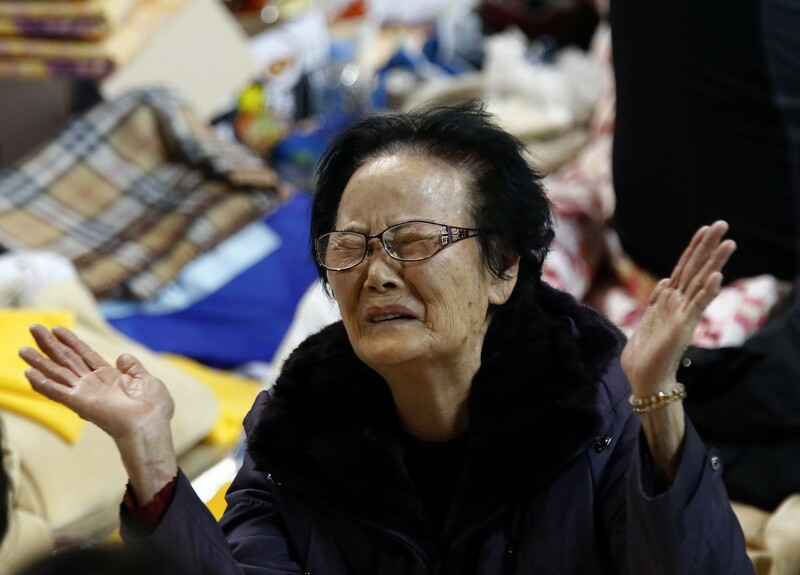 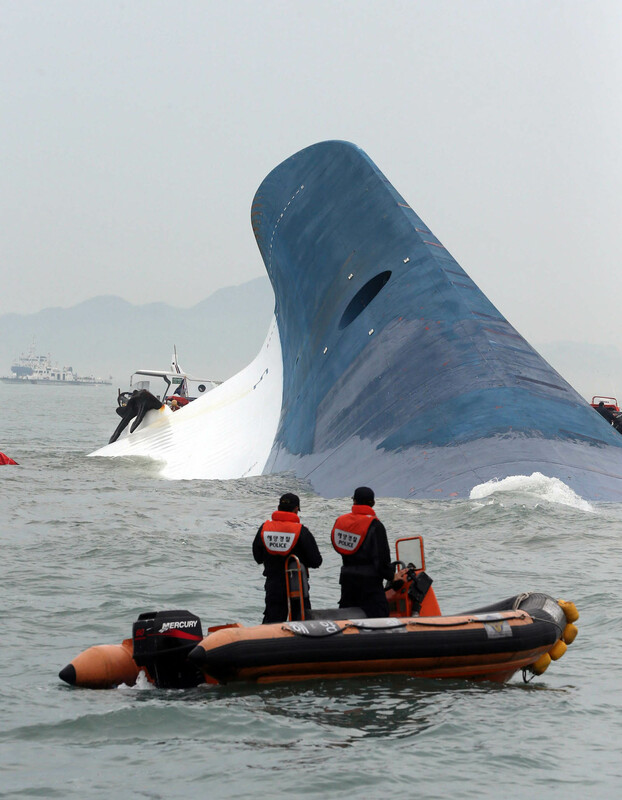 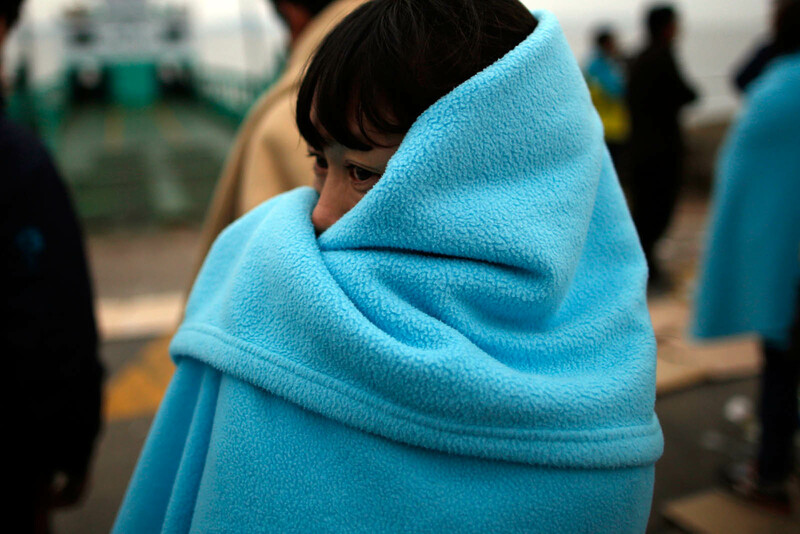 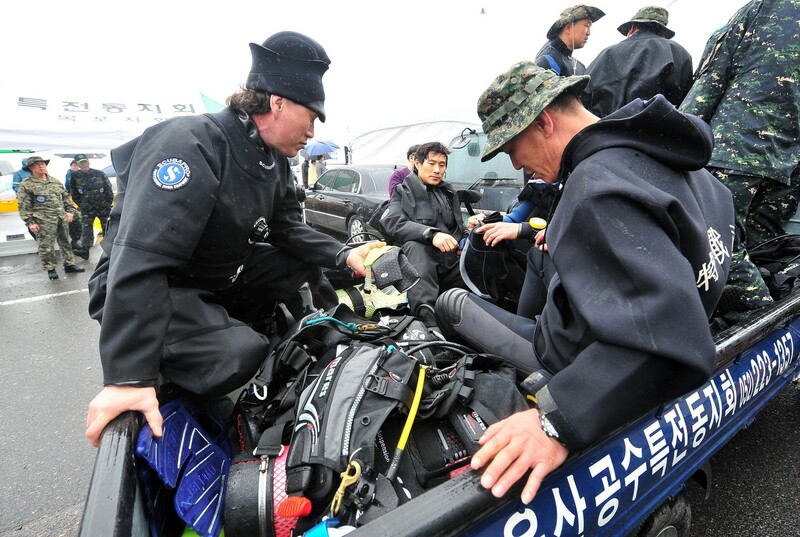 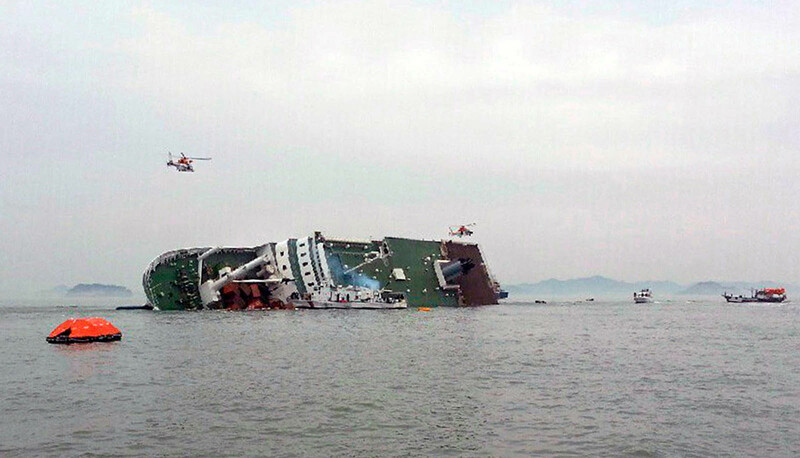 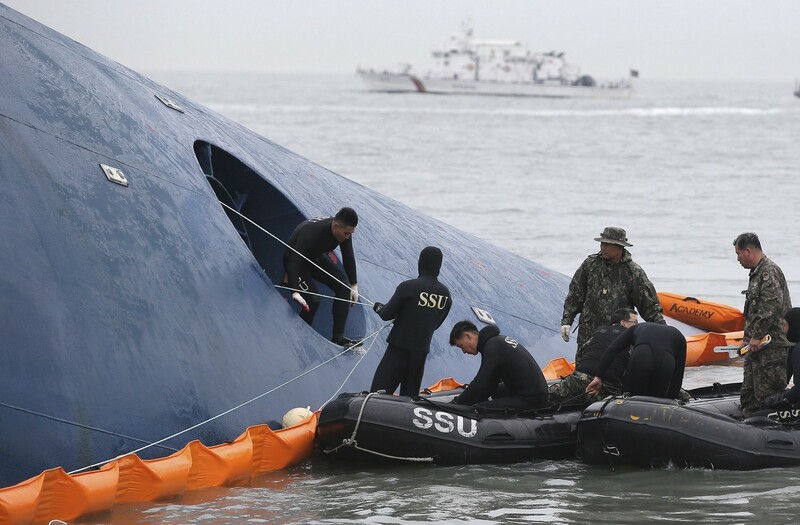 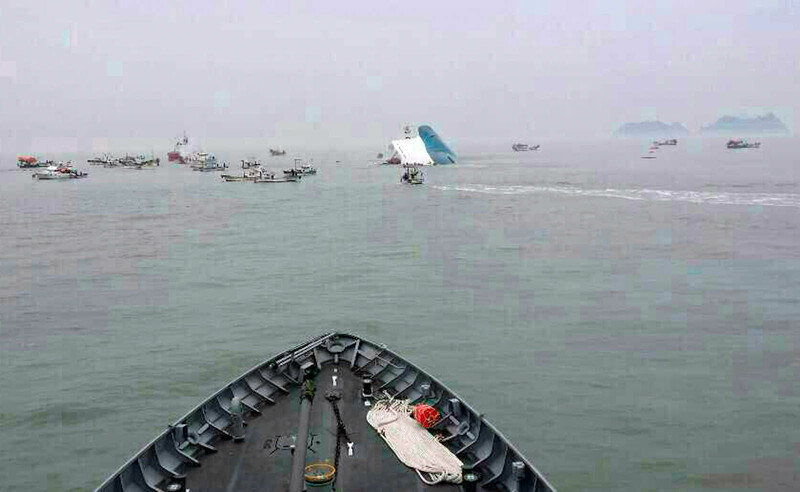 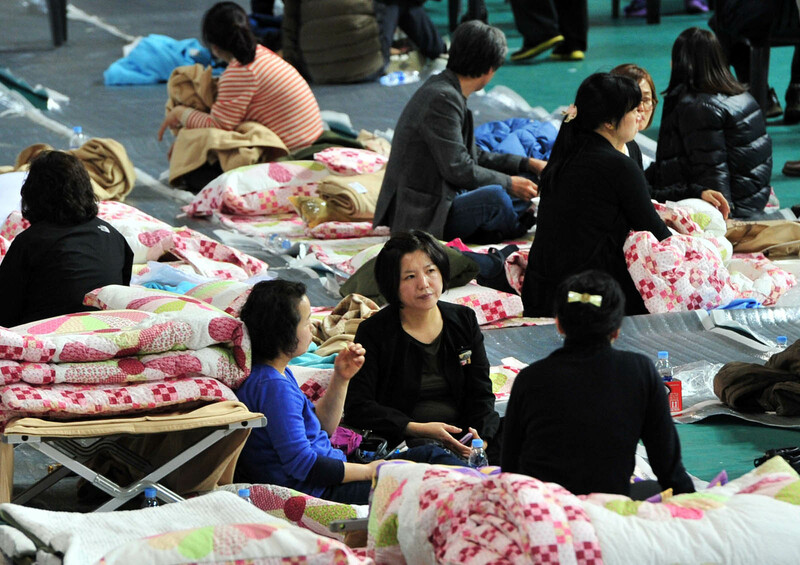 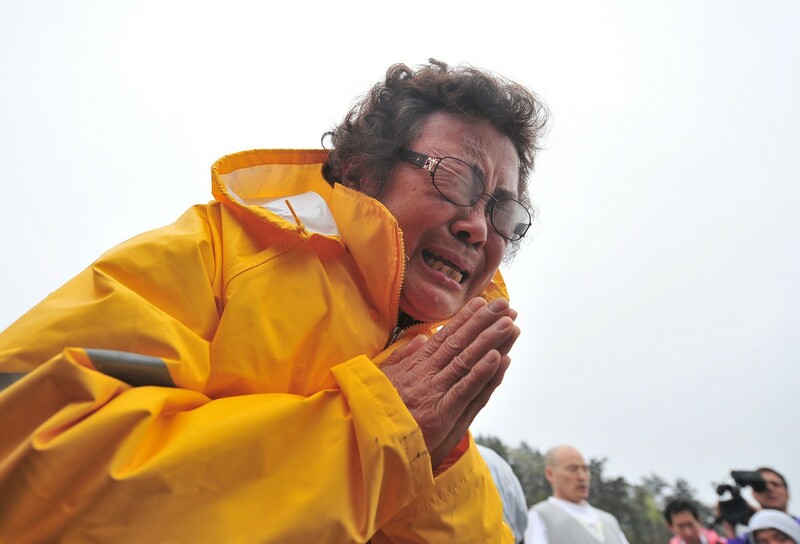 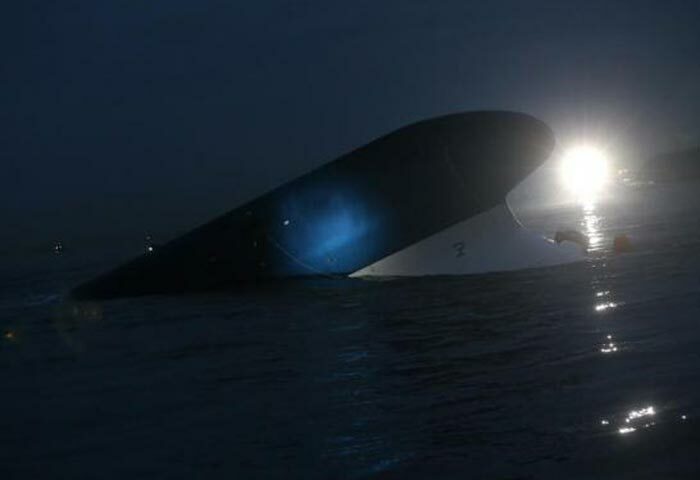 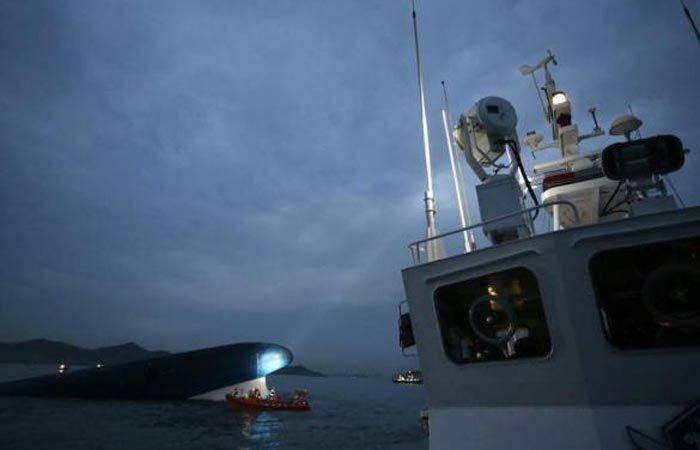 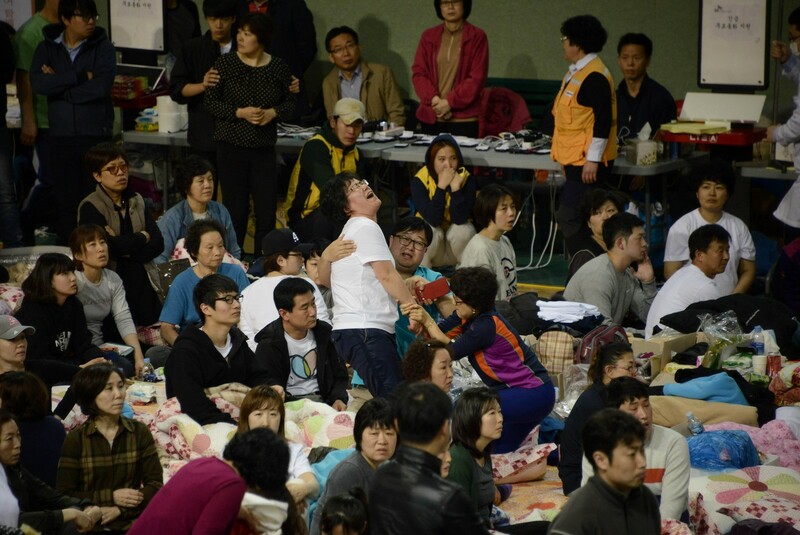 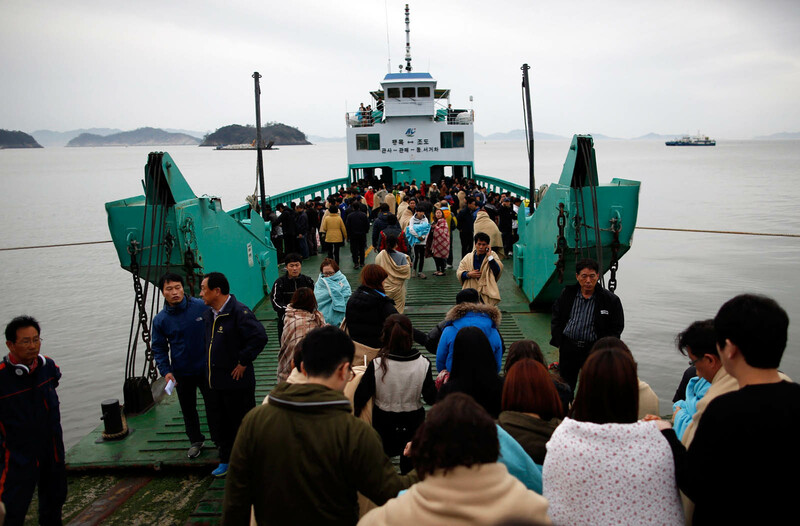 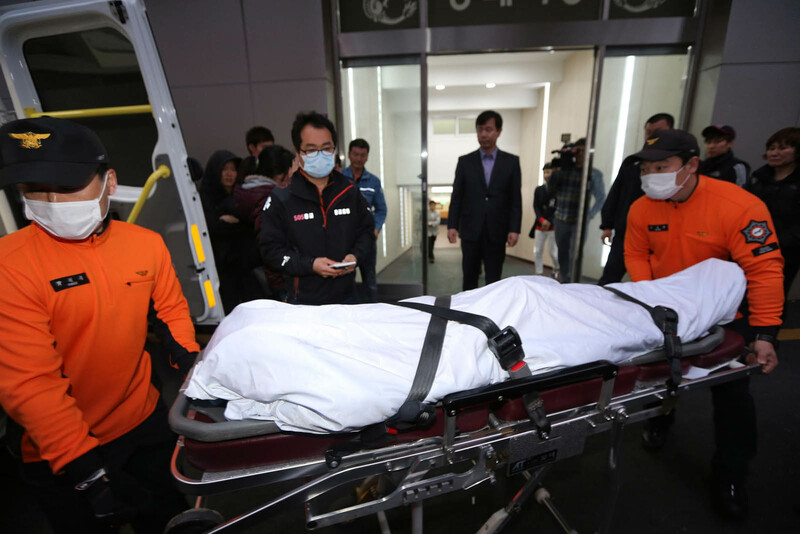 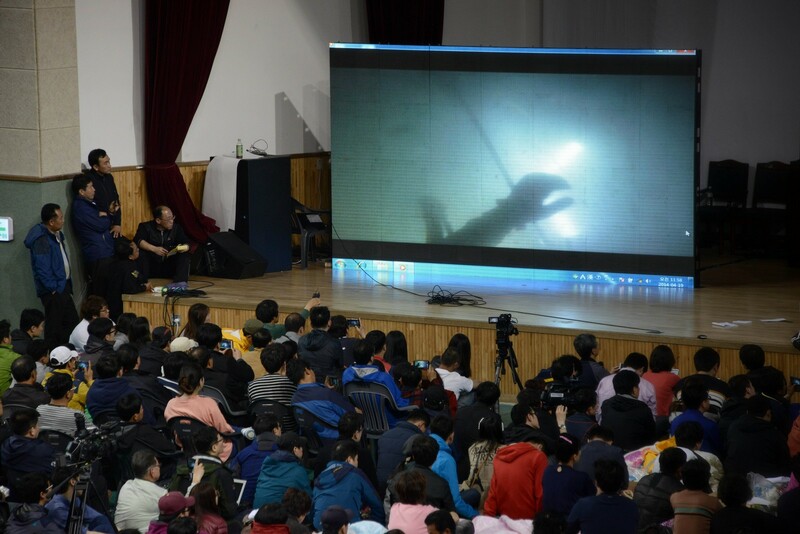 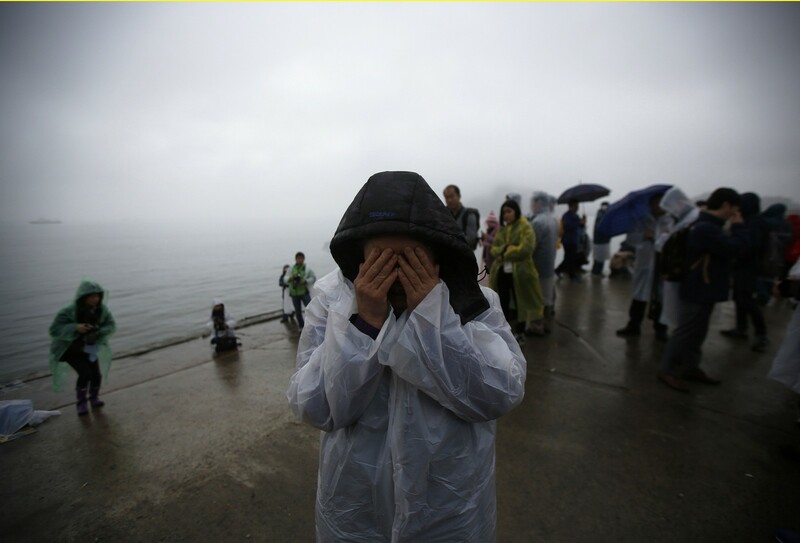 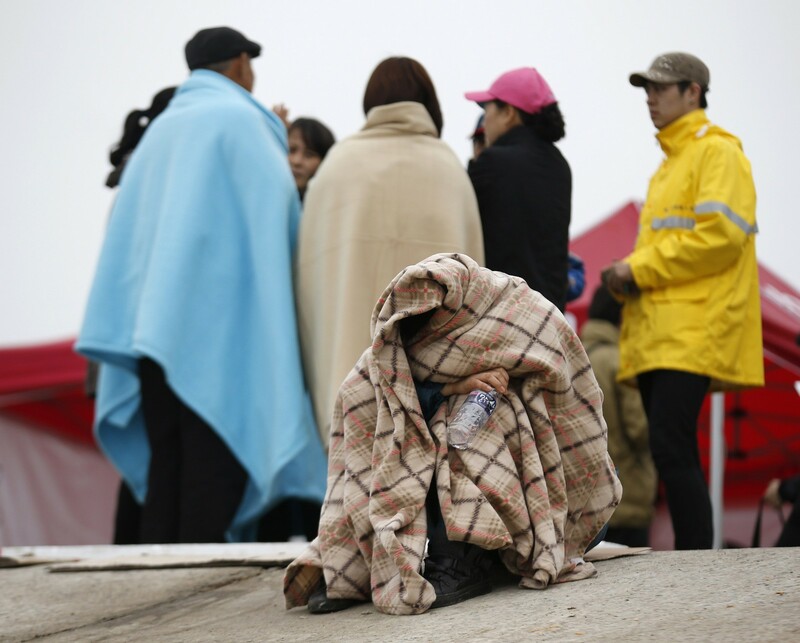 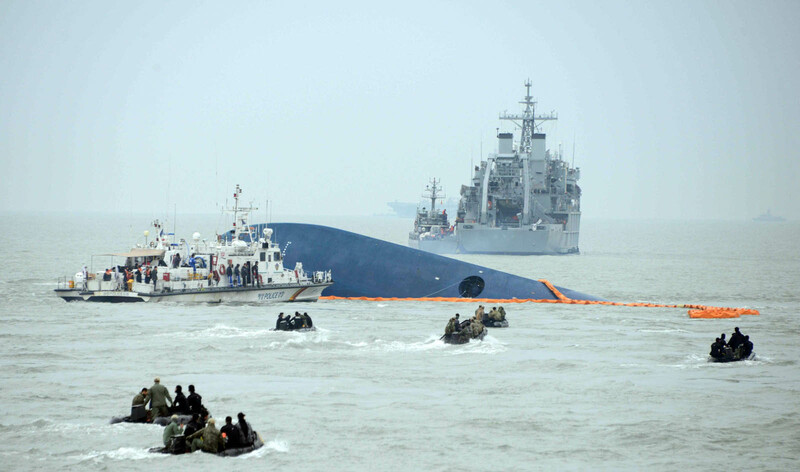 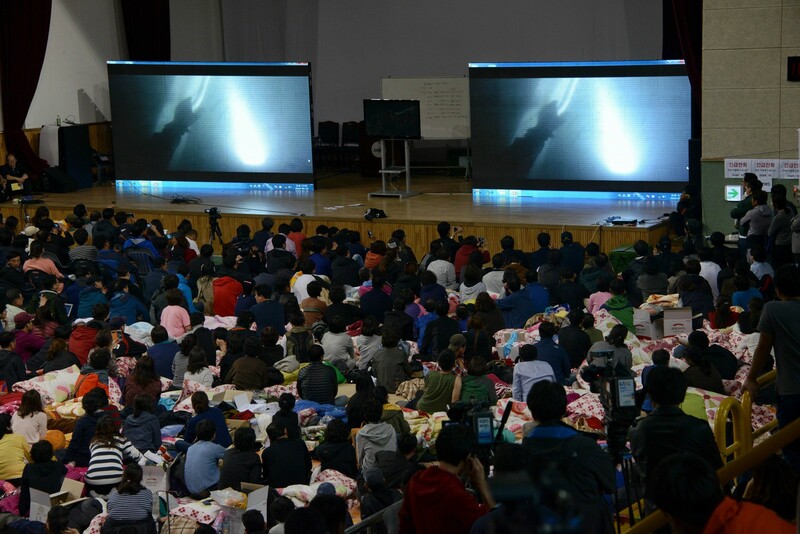 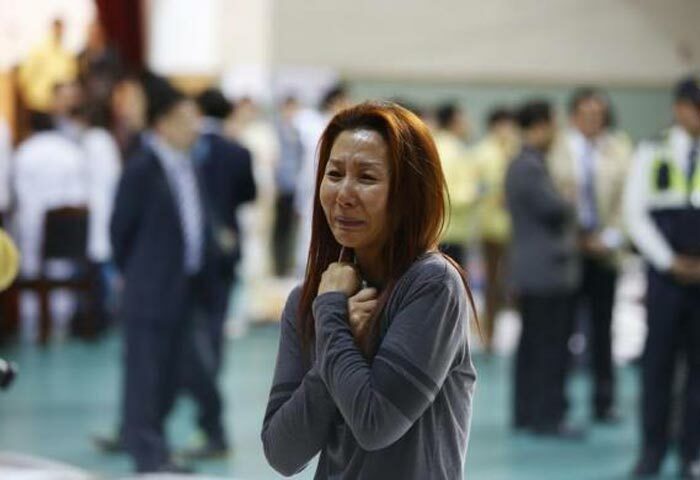 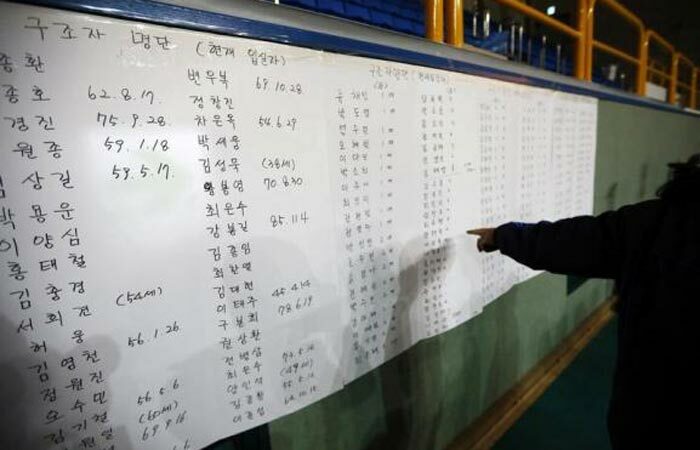 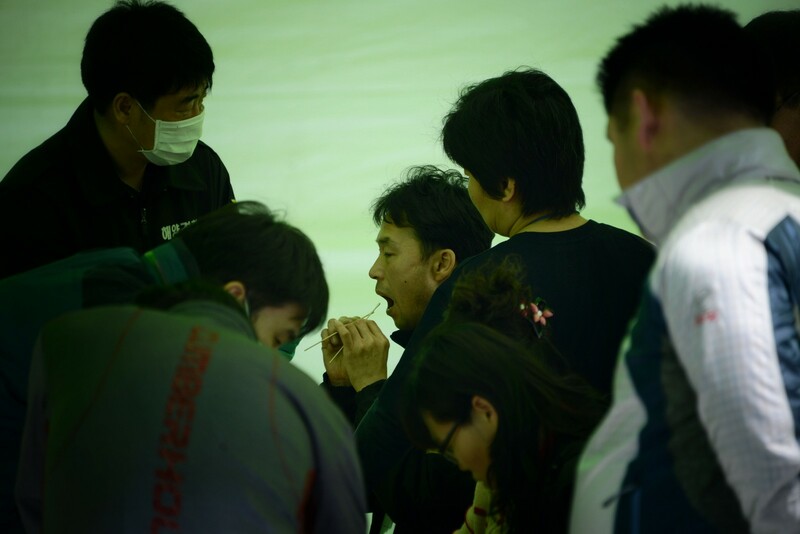 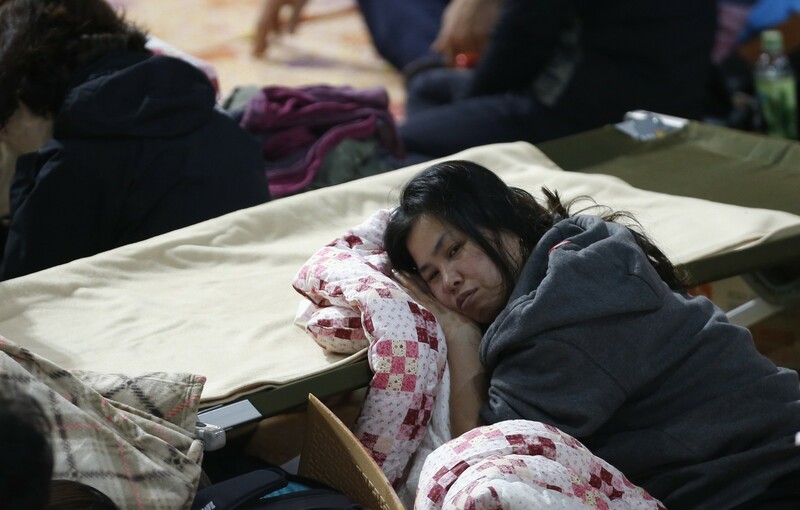 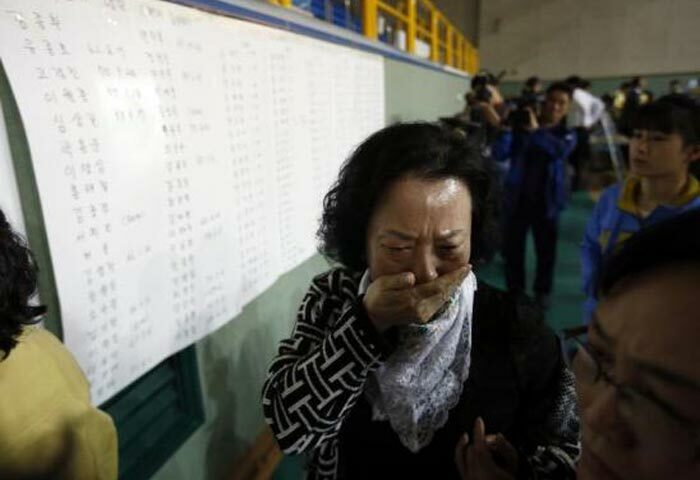 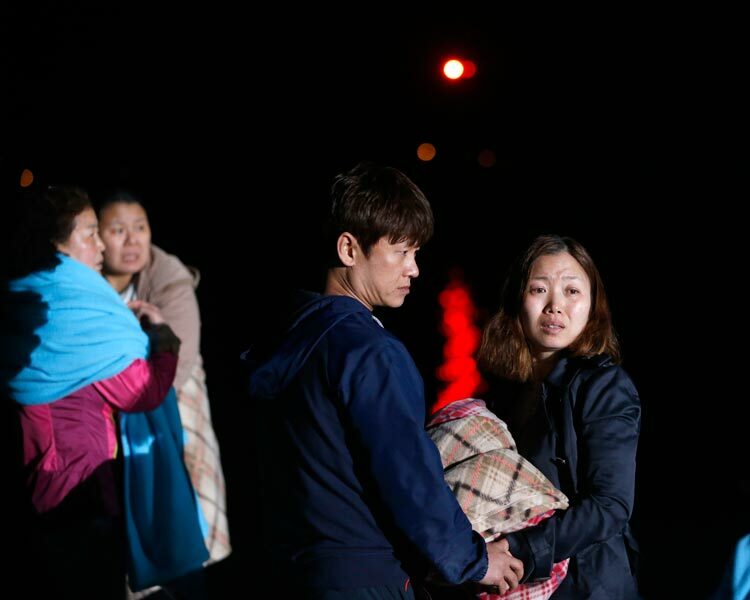 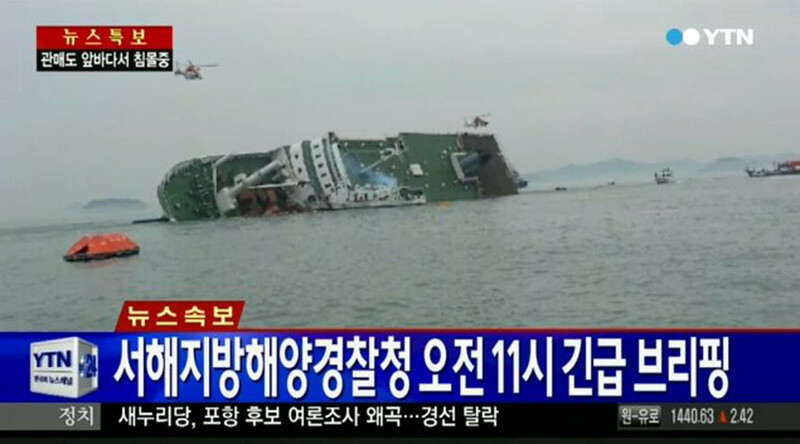 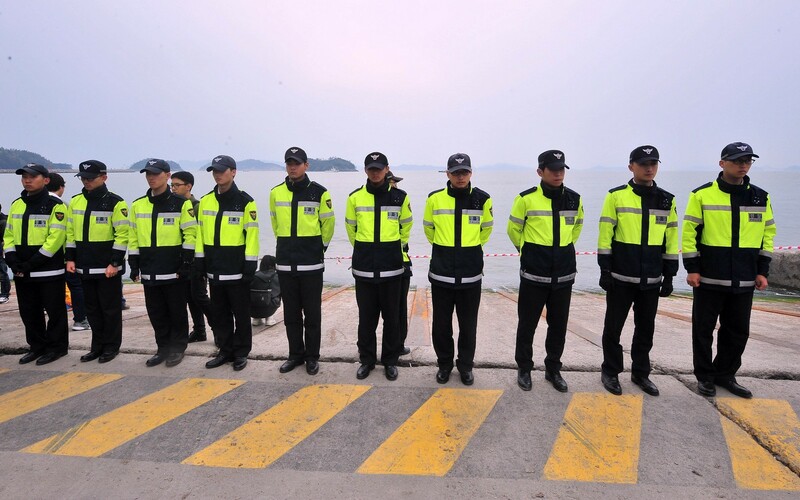 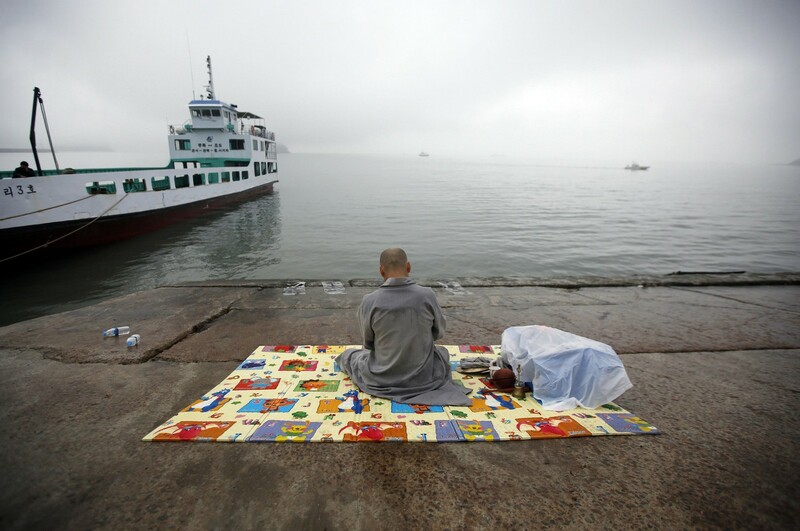 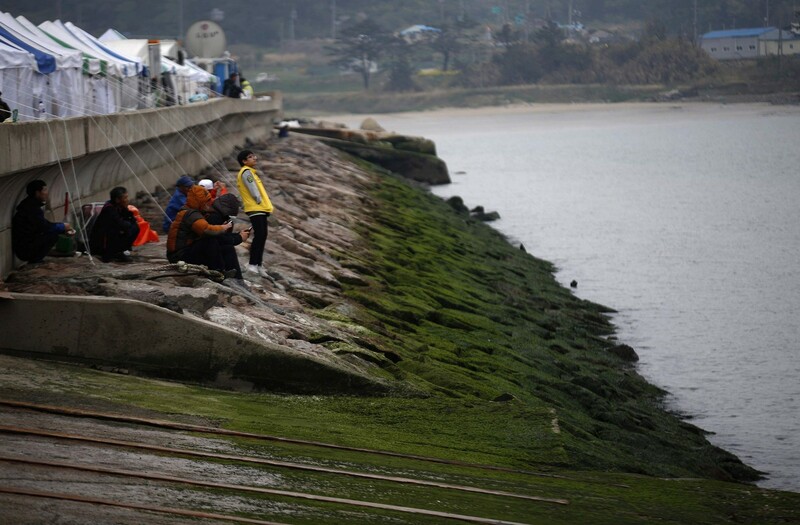 JINDO, South Korea - South Korean President Park Geun-hye said on Monday the actions of some crew of a ferry that sank with hundreds feared dead were tantamount to murder, as a four-year-old video transcript showed the captain promoting the safety of the same route. 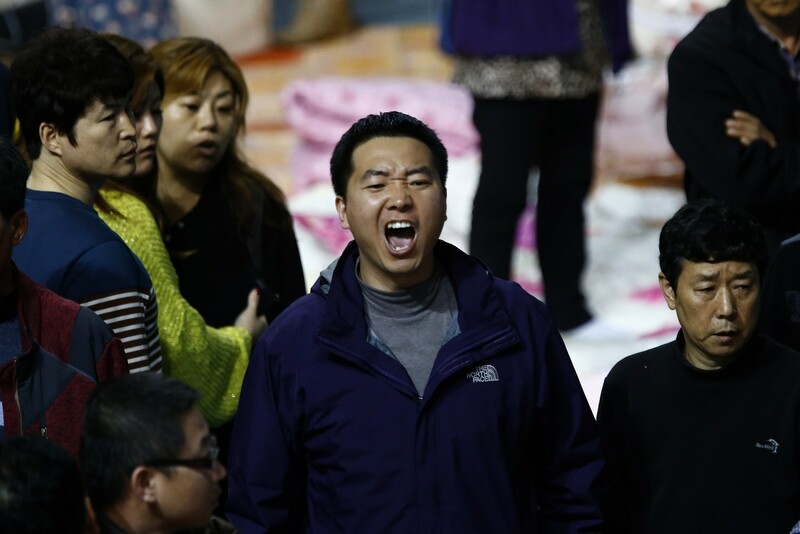 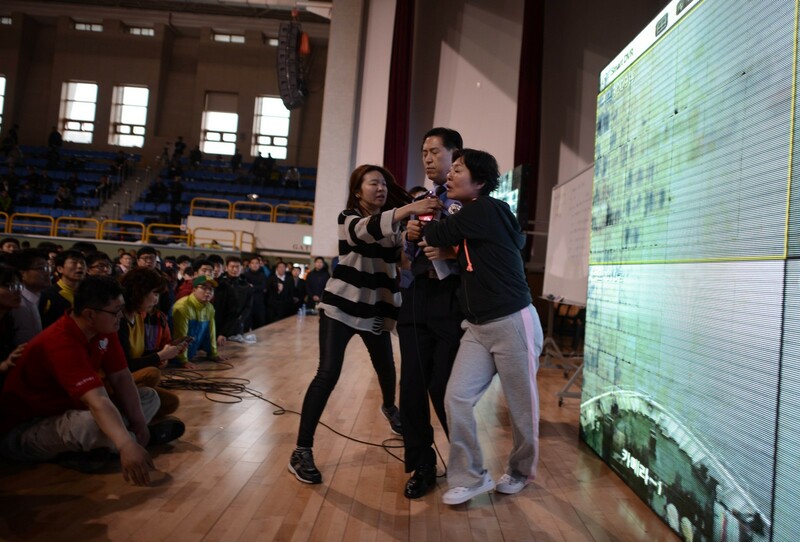 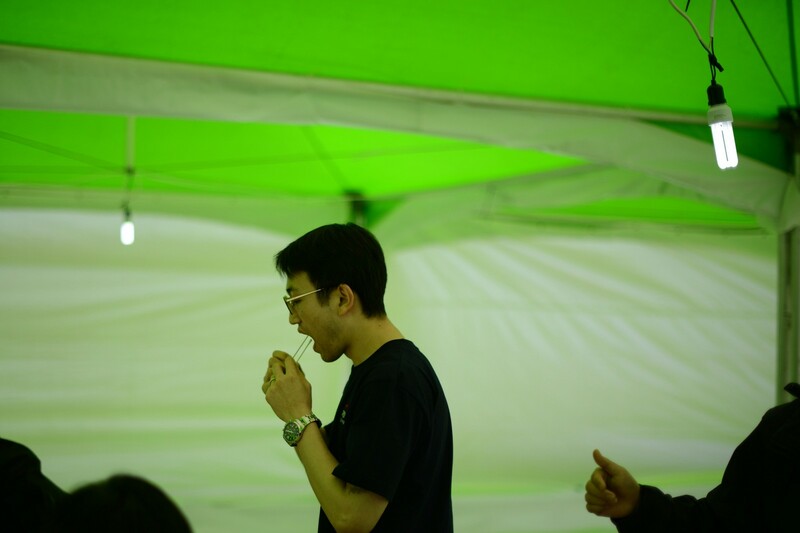 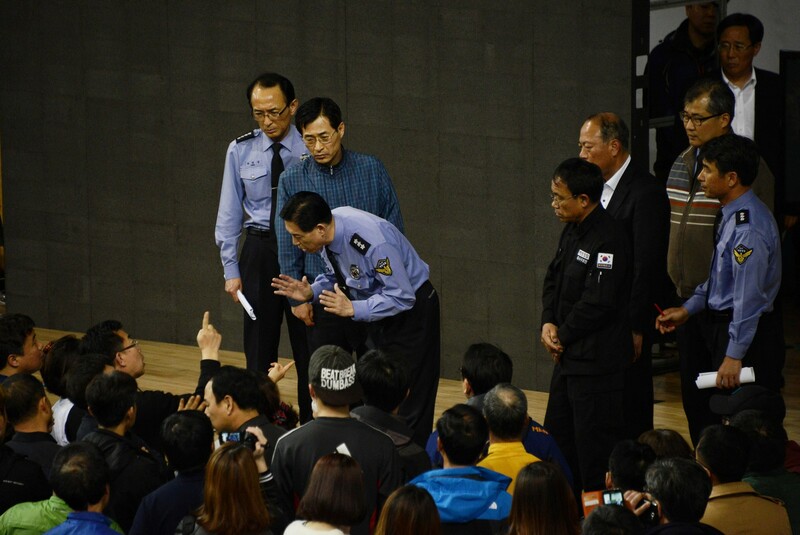 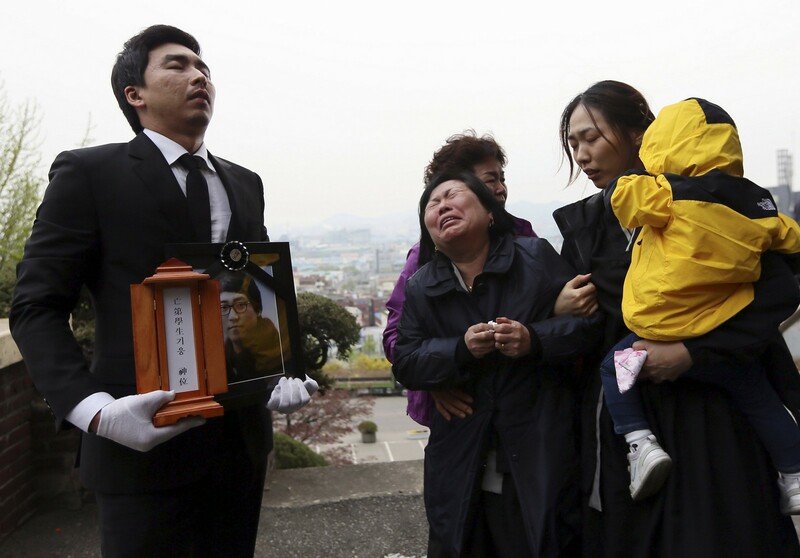 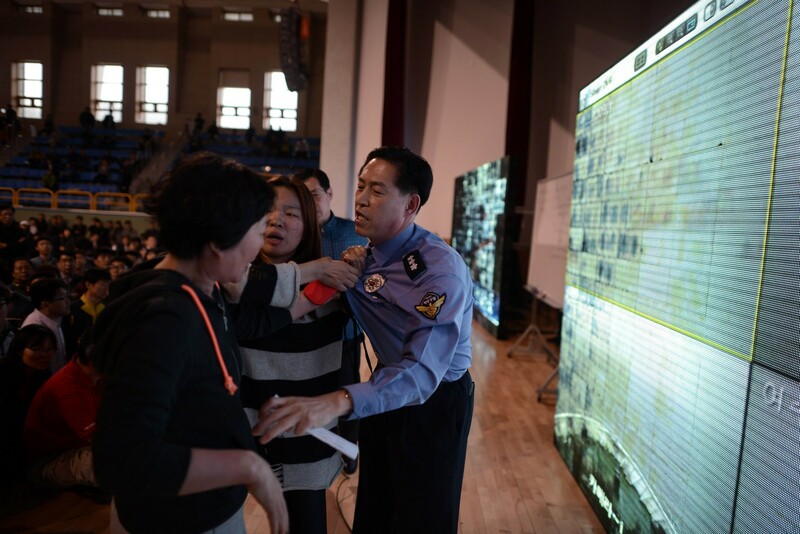 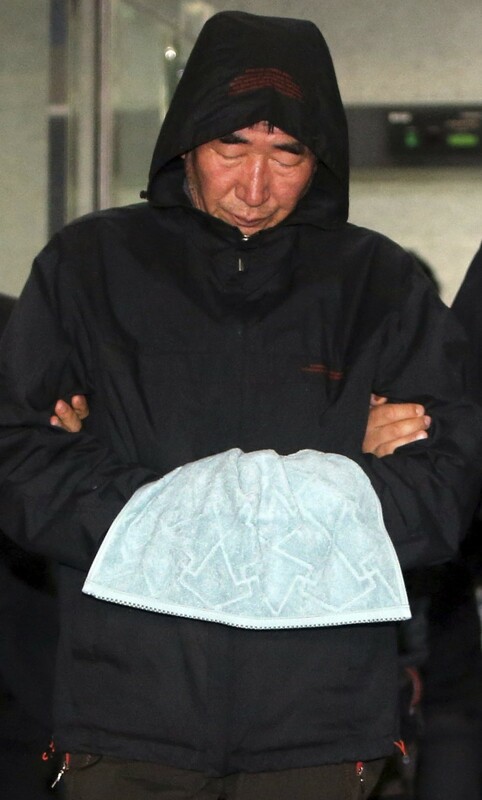 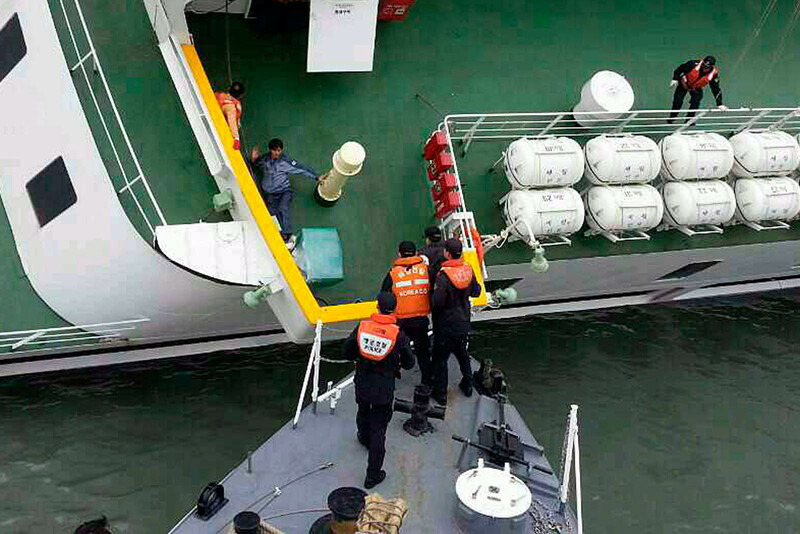 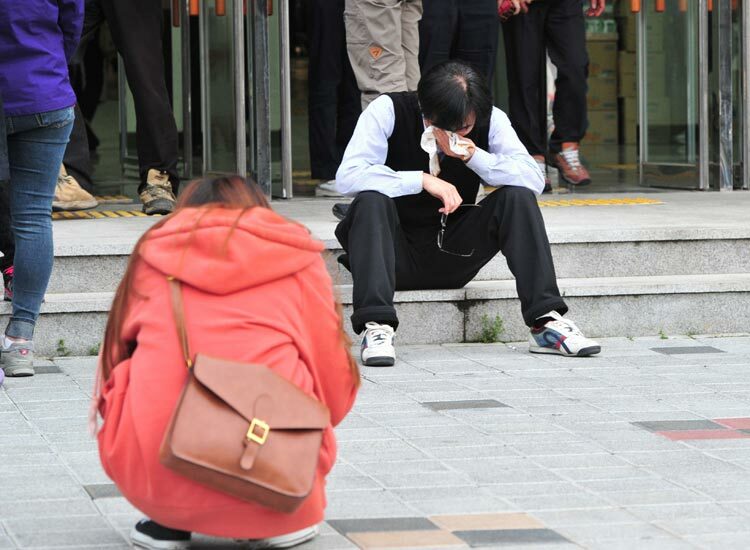 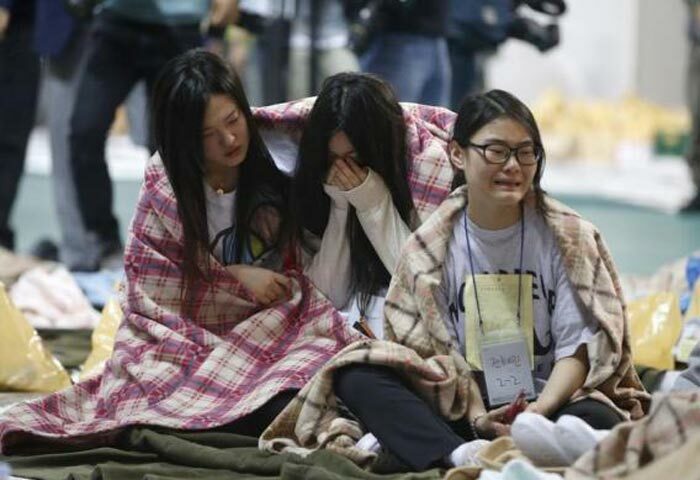 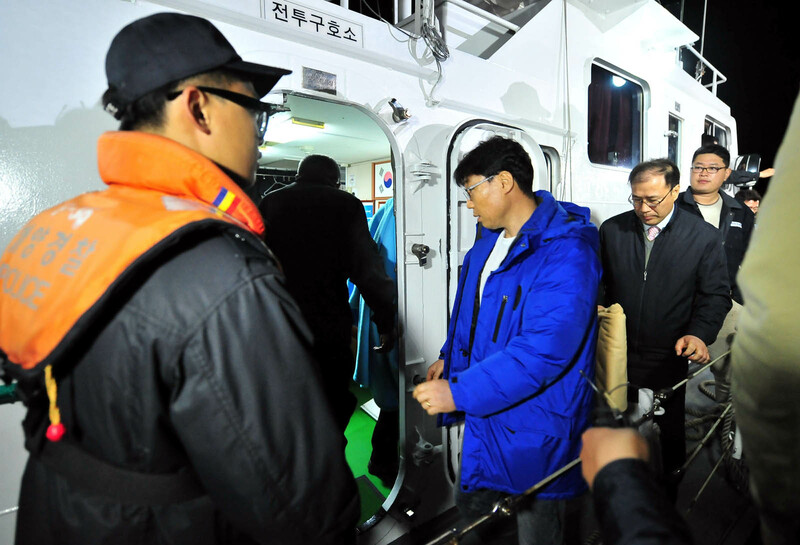 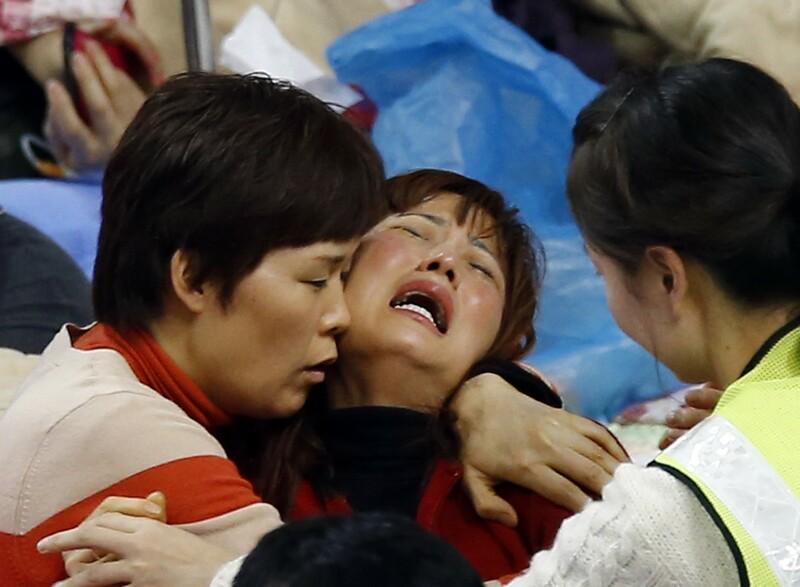 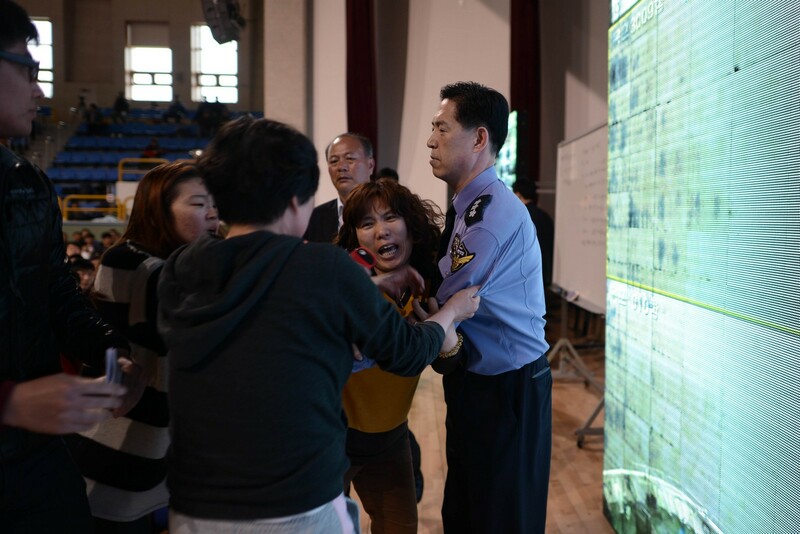 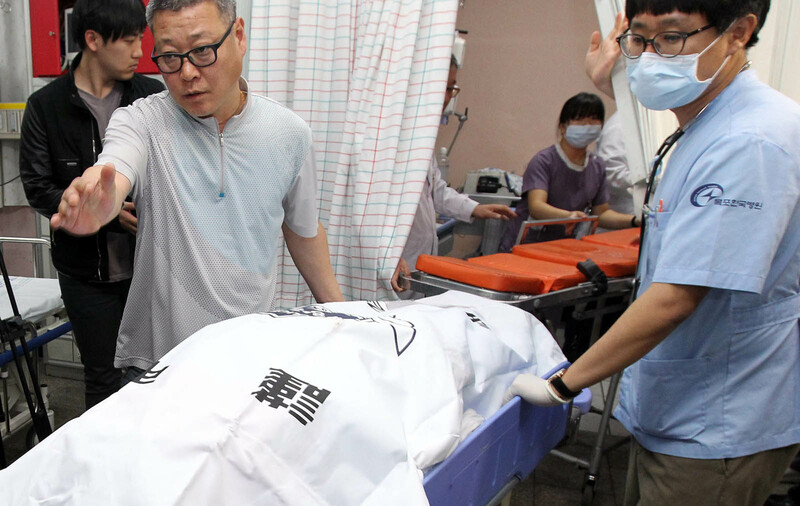 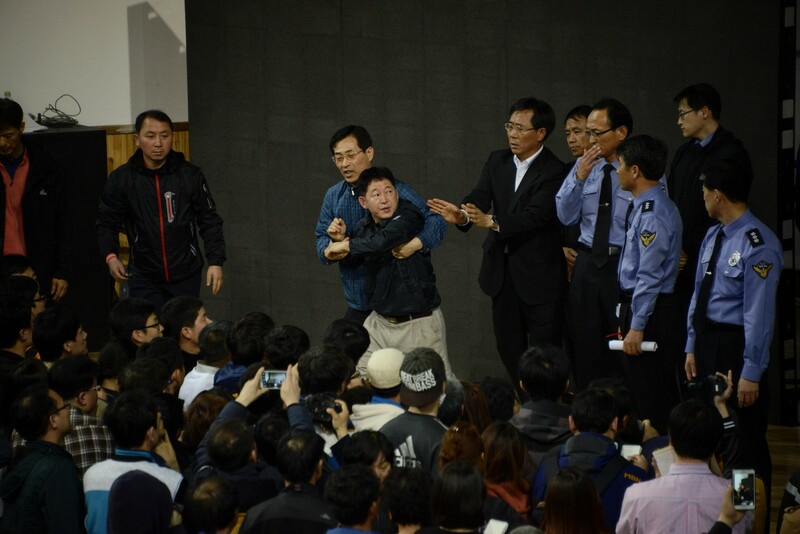 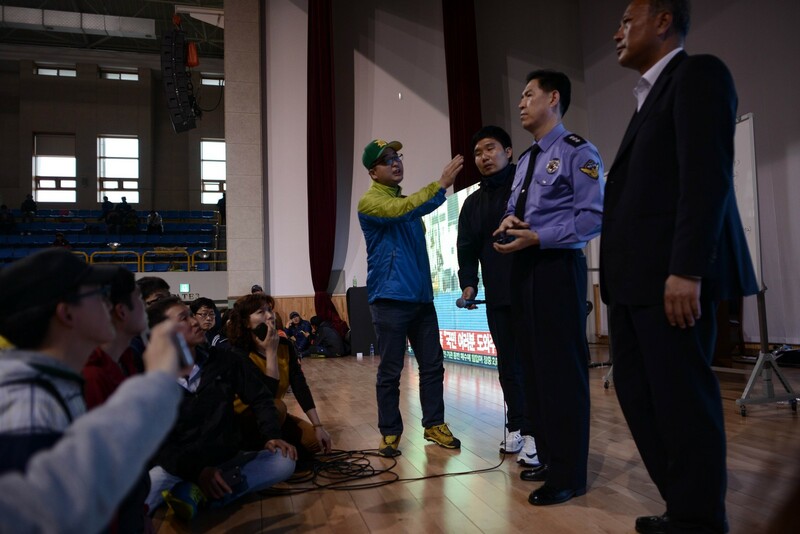 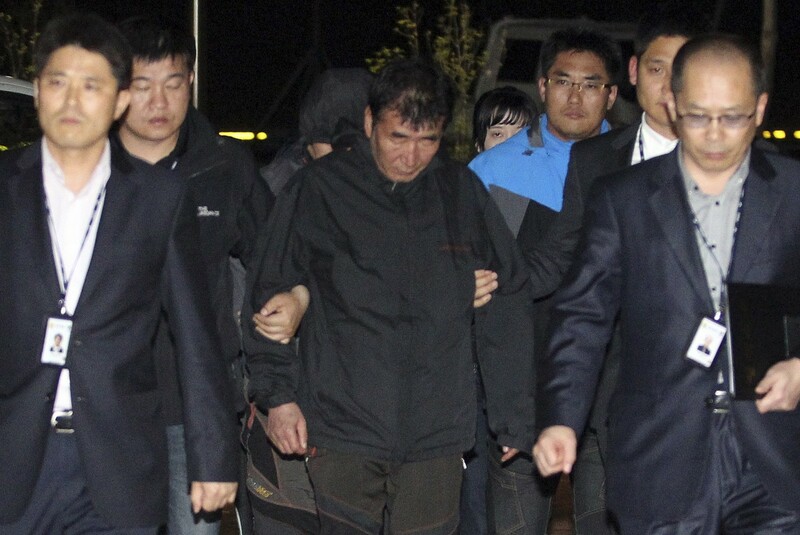 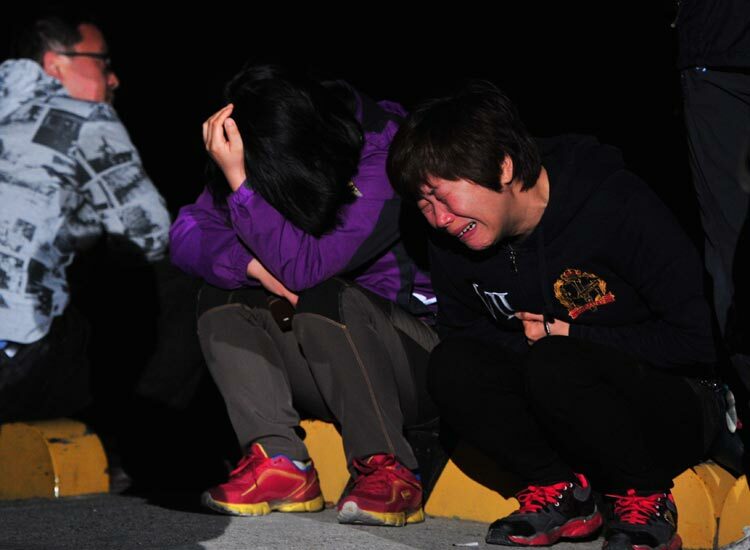 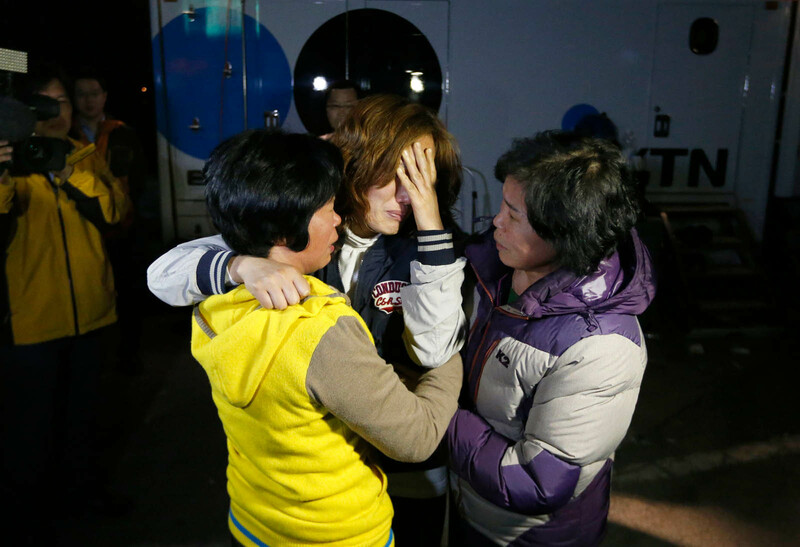 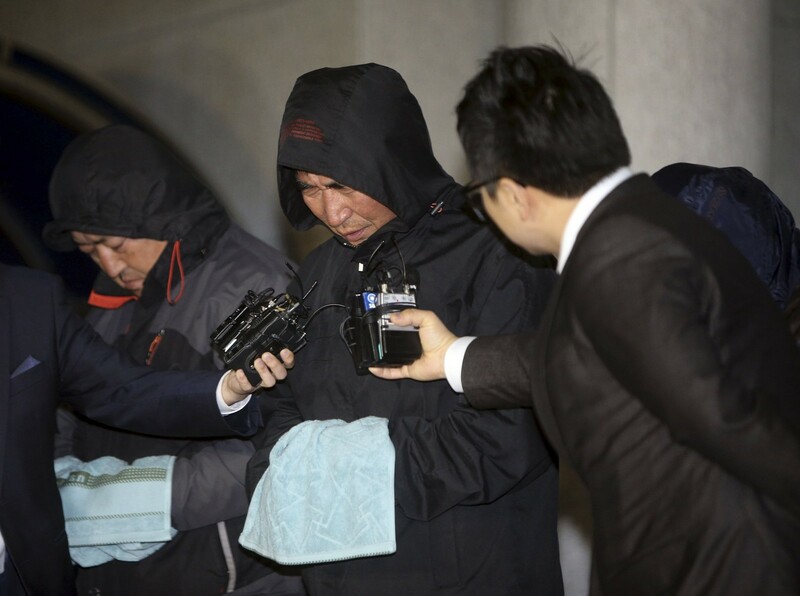 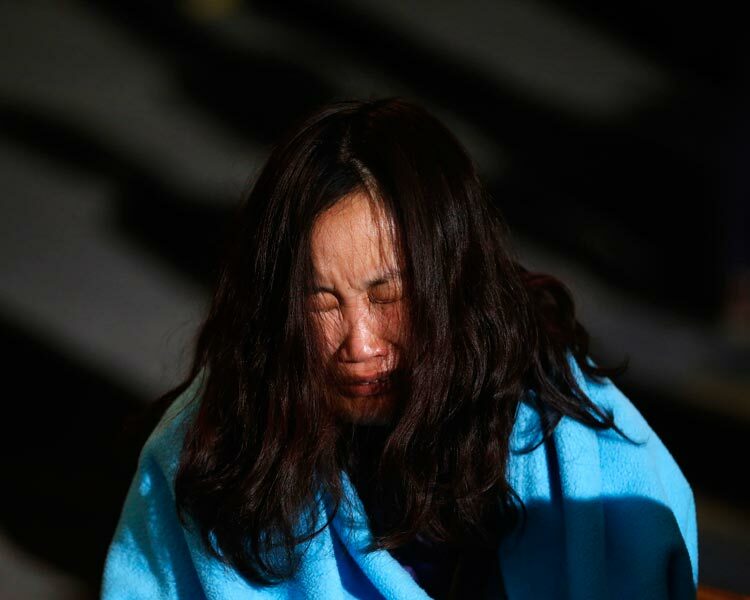 Park said the crew's desertion was tantamount to murder. 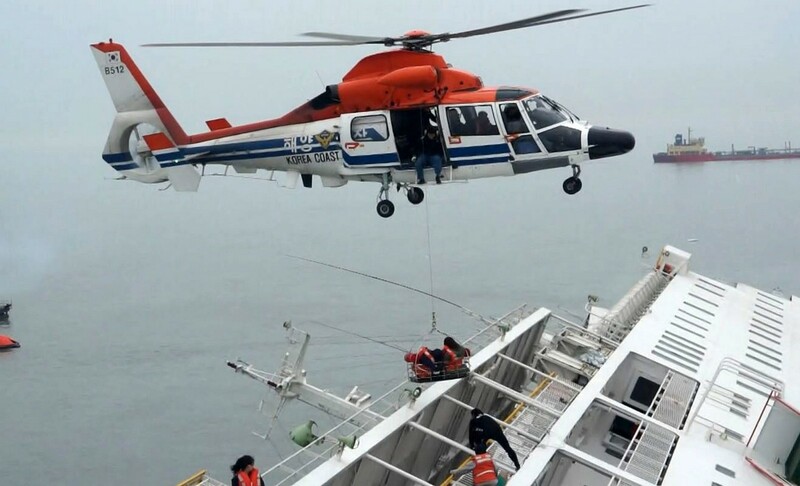 "Above all, the conduct of the captain and some crew members is unfathomable from the viewpoint of common sense, and it was like an act of murder that cannot and should not be tolerated,"she told aides. 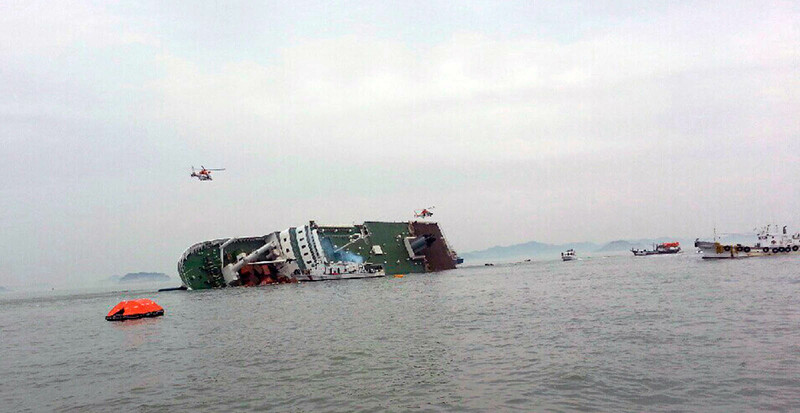 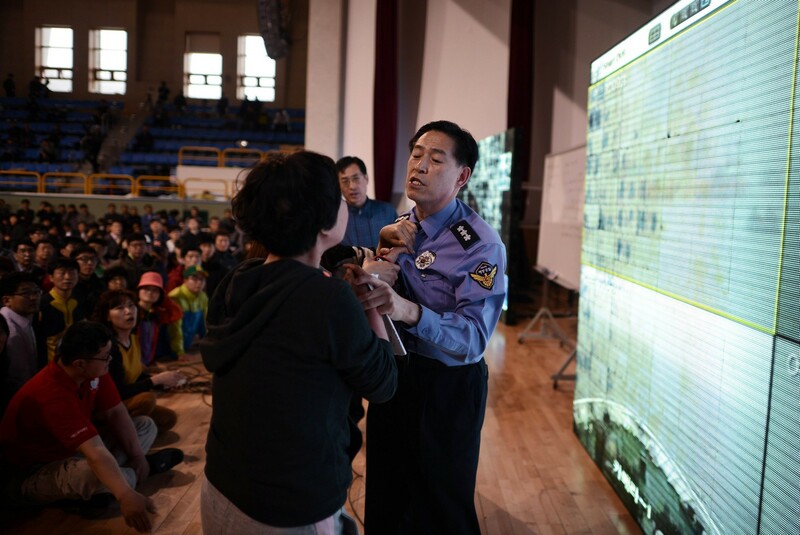 Of the 476 passengers and crew on board, 339 were children and teachers on a high school outing. 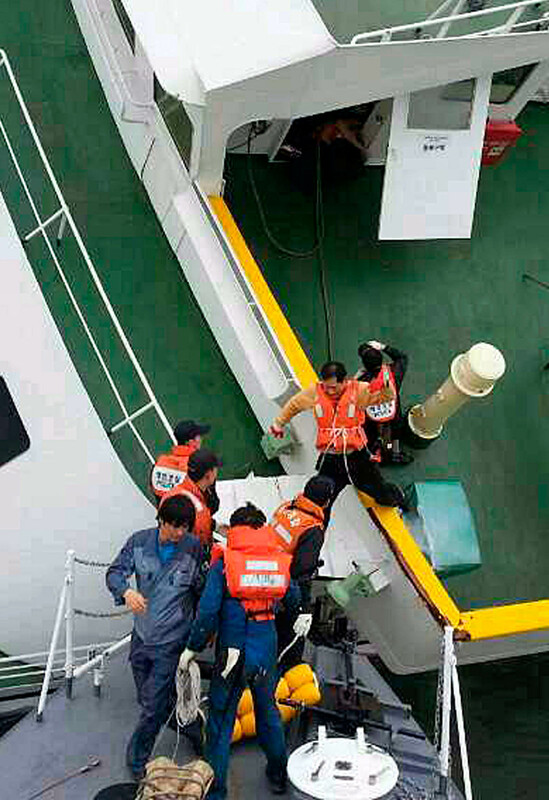 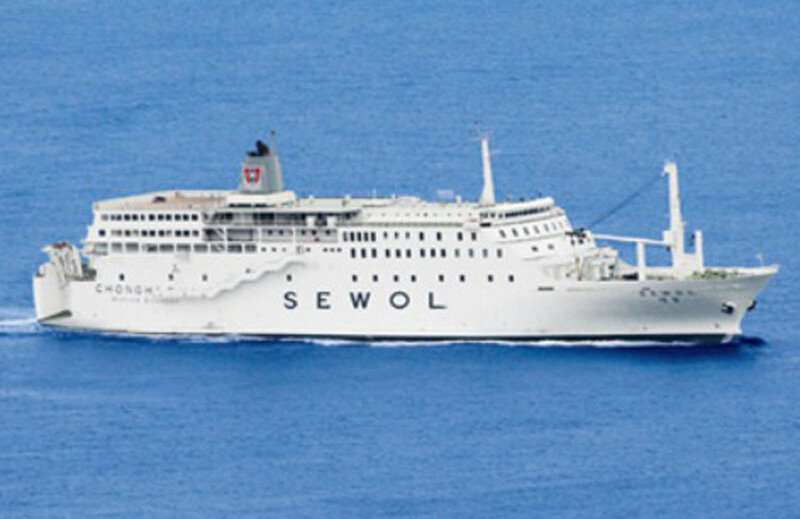 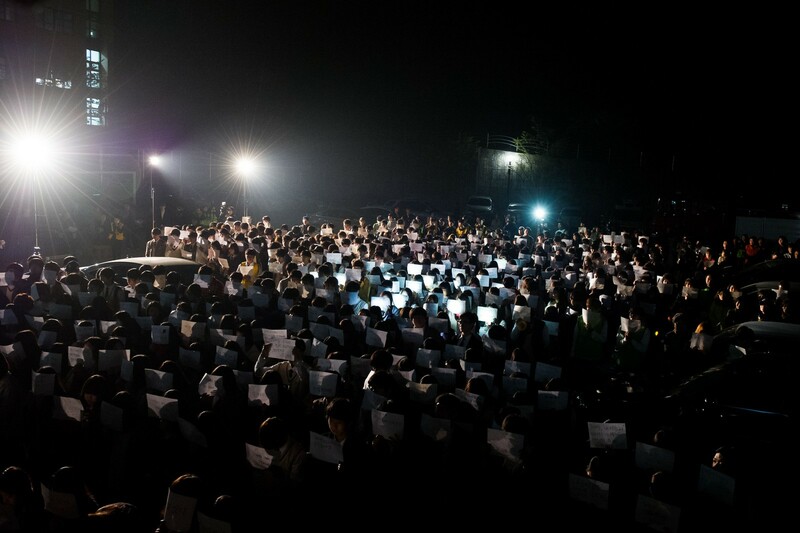 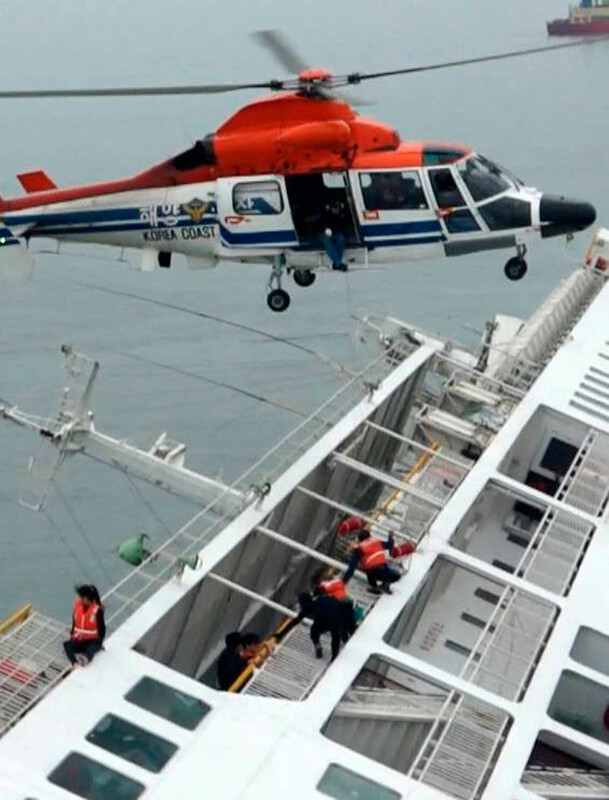 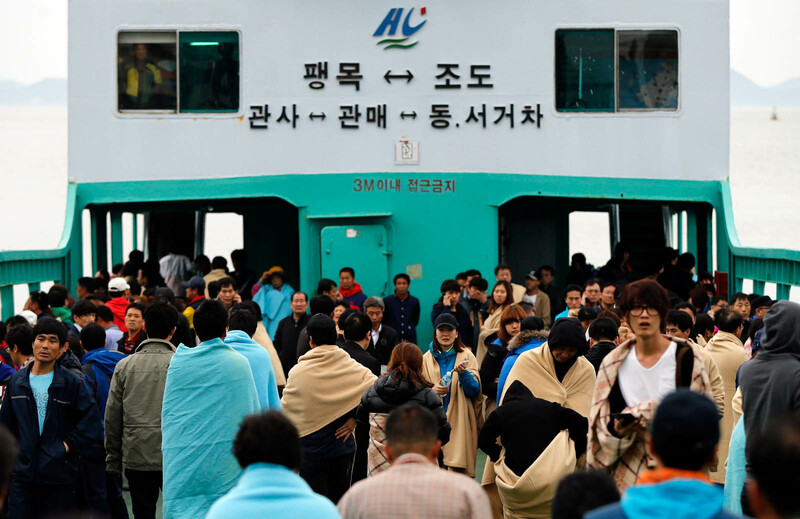 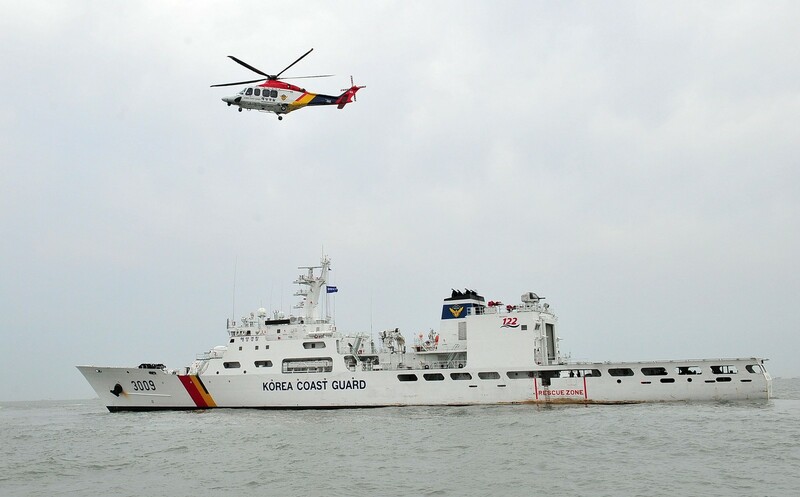 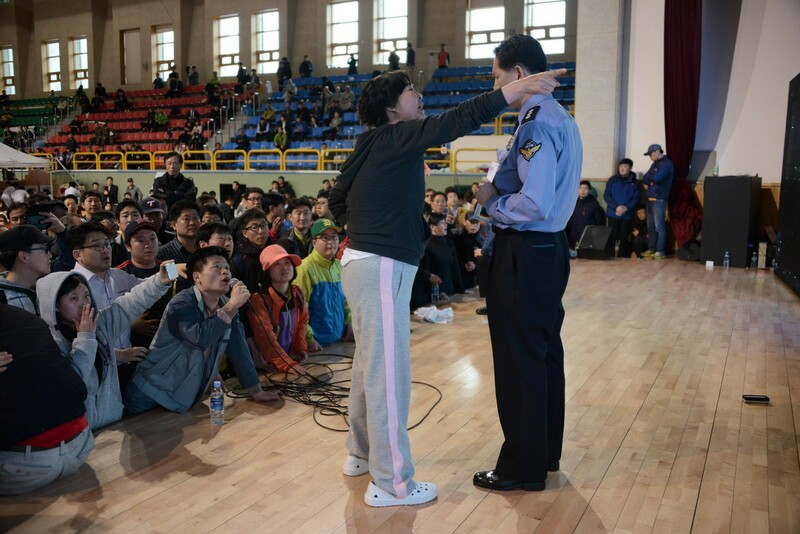 "Passengers who take our ship to and from Incheon and Jeju can enjoy a safe and pleasant trip and I believe it is safer than any other vehicle as long as they follow the instructions of our crew members," Lee said in the 2010 promotional video, according to transcripts broadcast by regional cable station OBS. 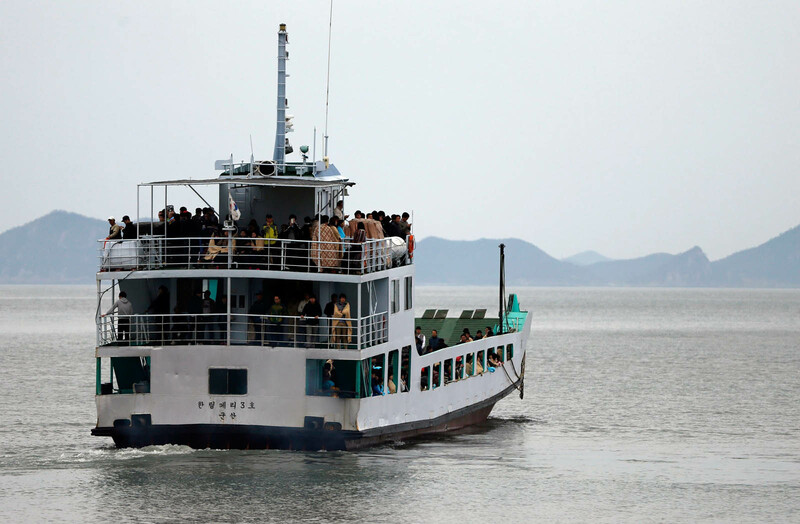 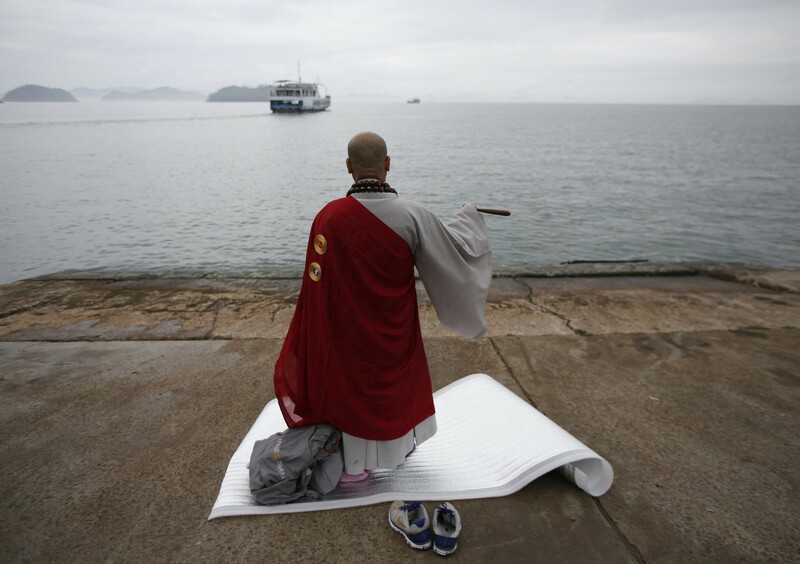 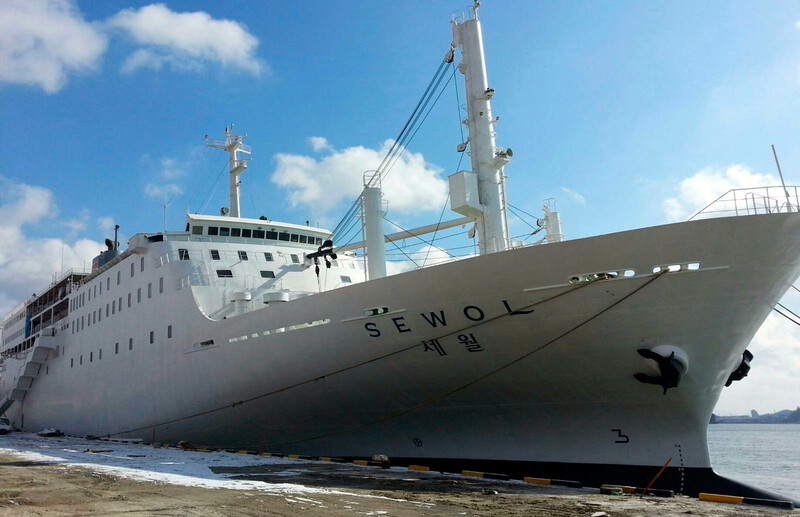 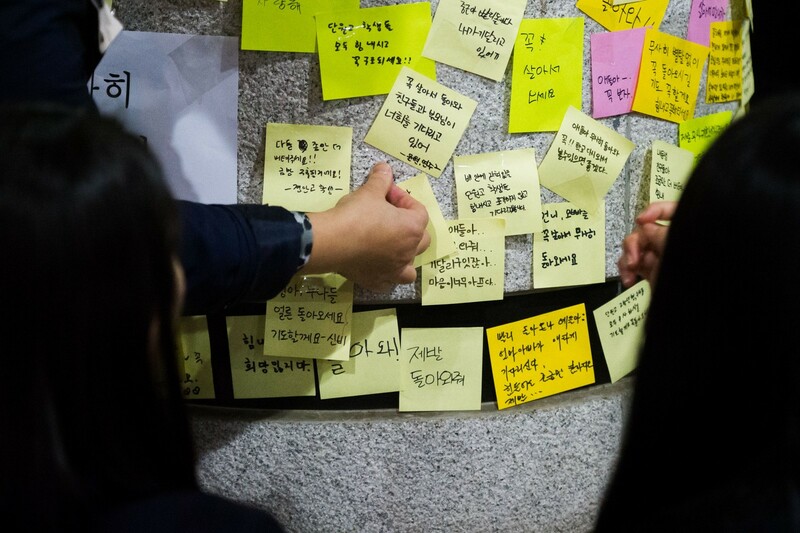 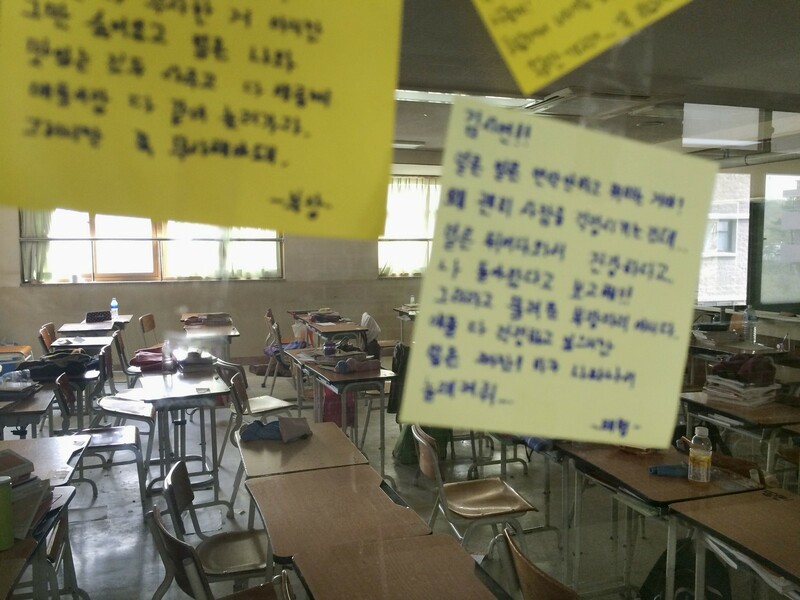 He was not referring to the Sewol, which came into service on that route in 2013. 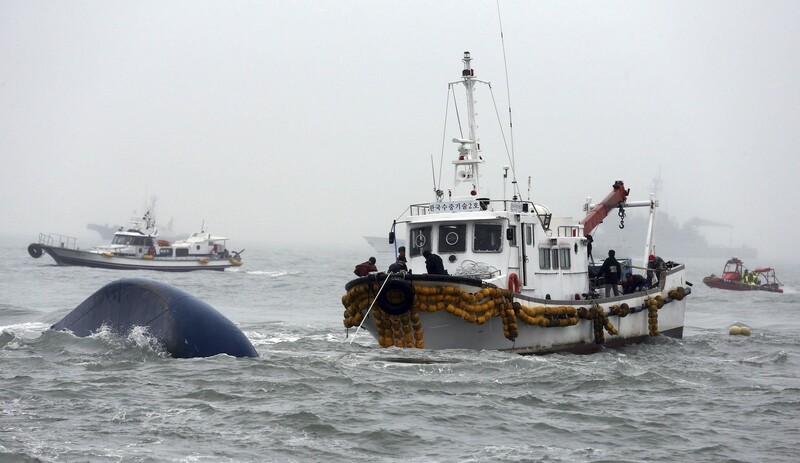 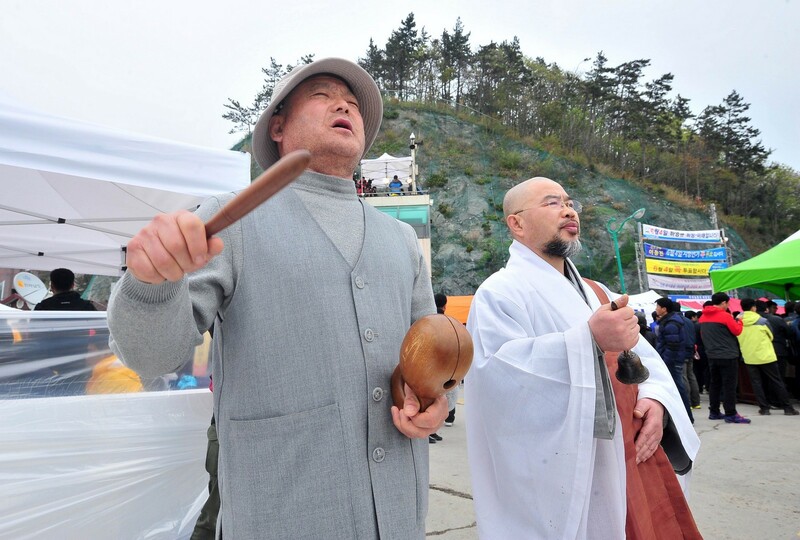 The Jeju Today newspaper interviewed Lee in 2004 when he spoke of close shaves at sea including passing through a typhoon and a previous sinking off Japan. 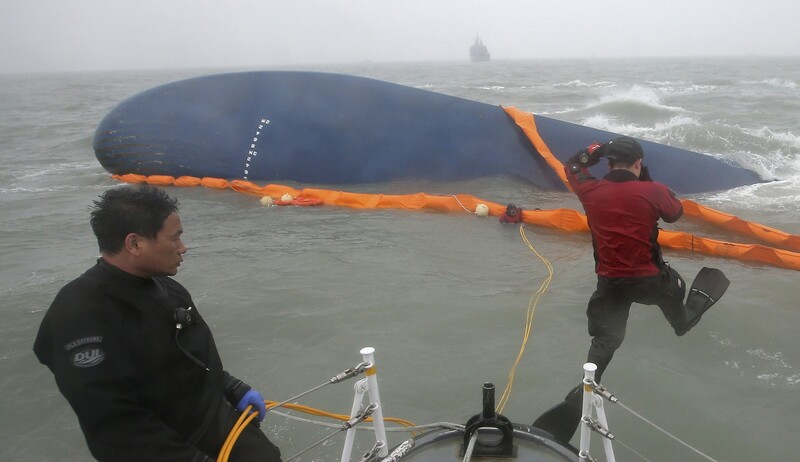 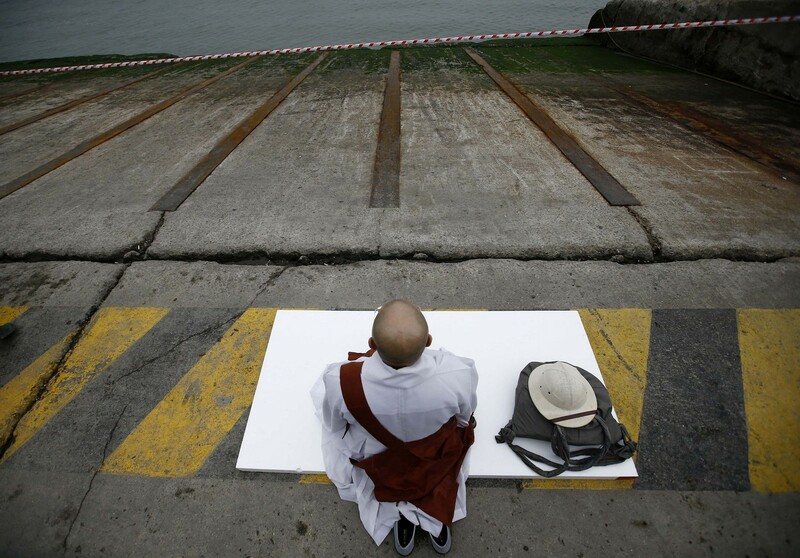 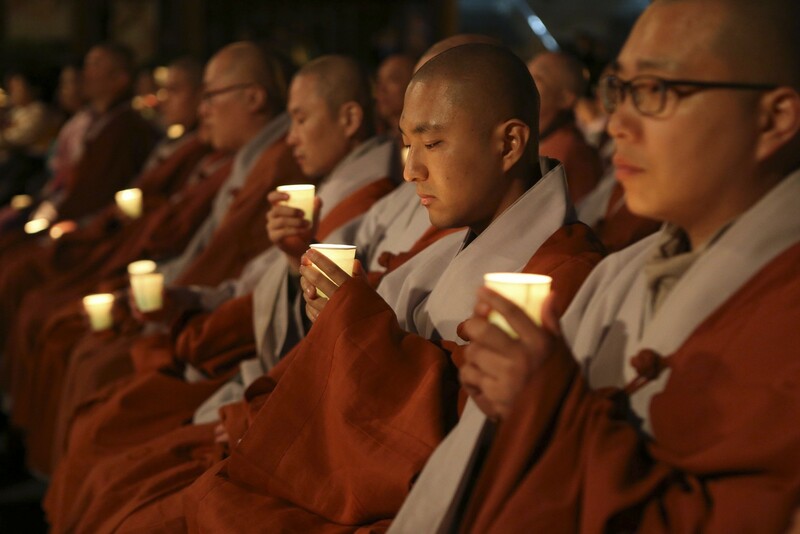 "The first ship I took was a log carrier vessel and it capsized near Okinawa. 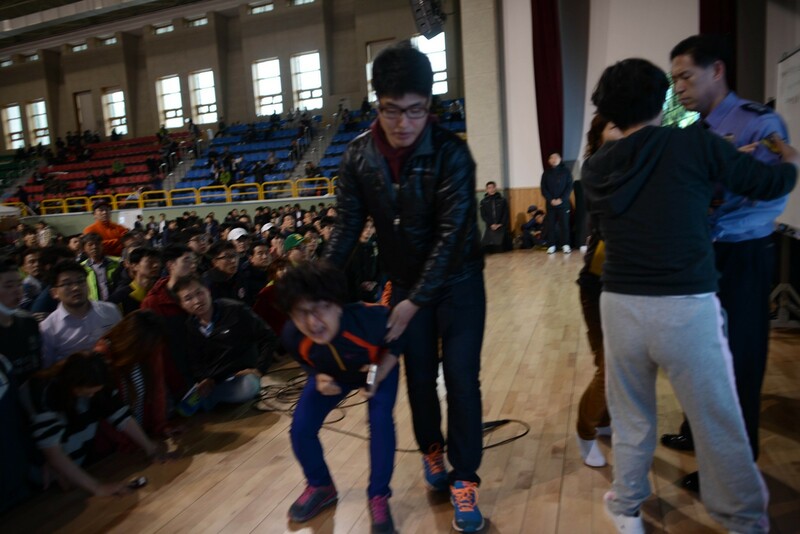 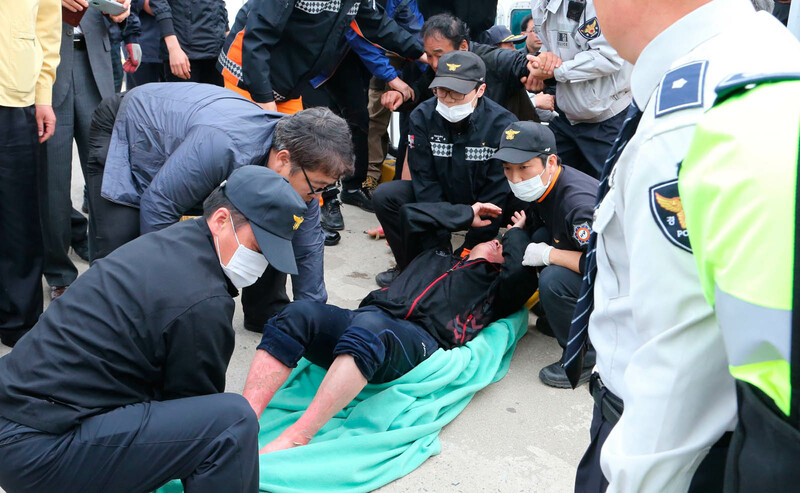 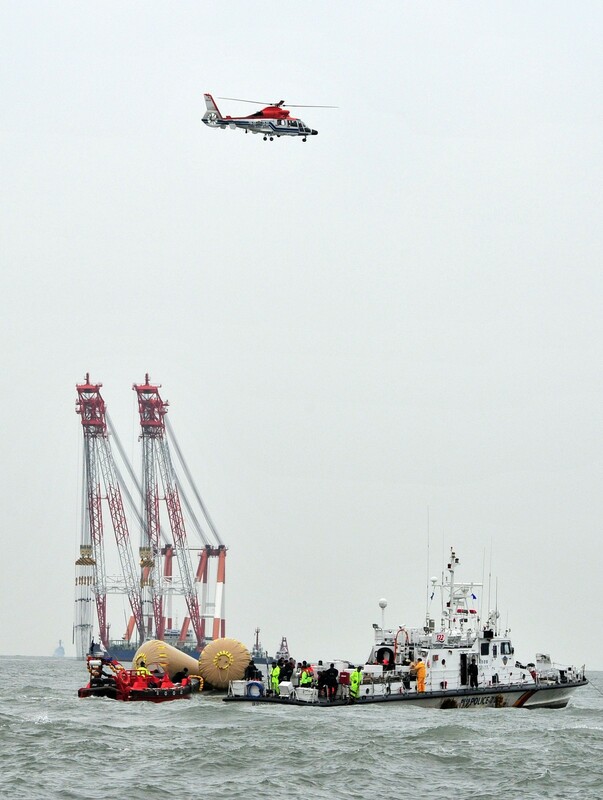 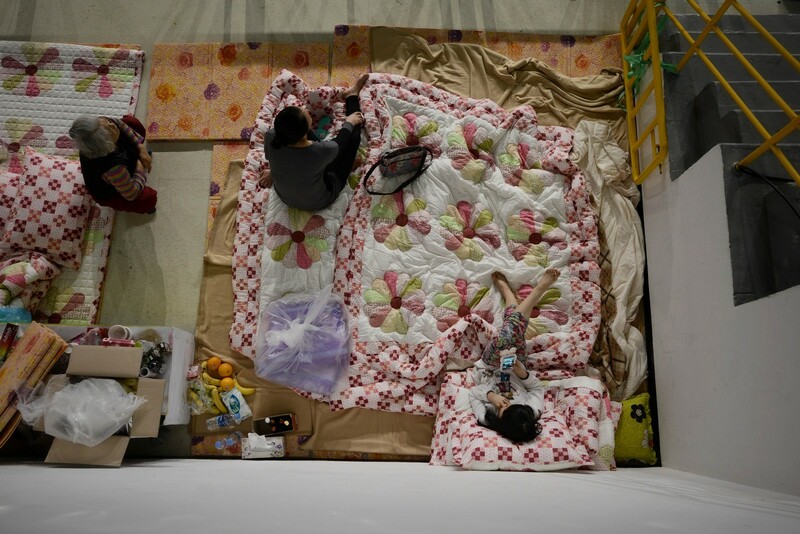 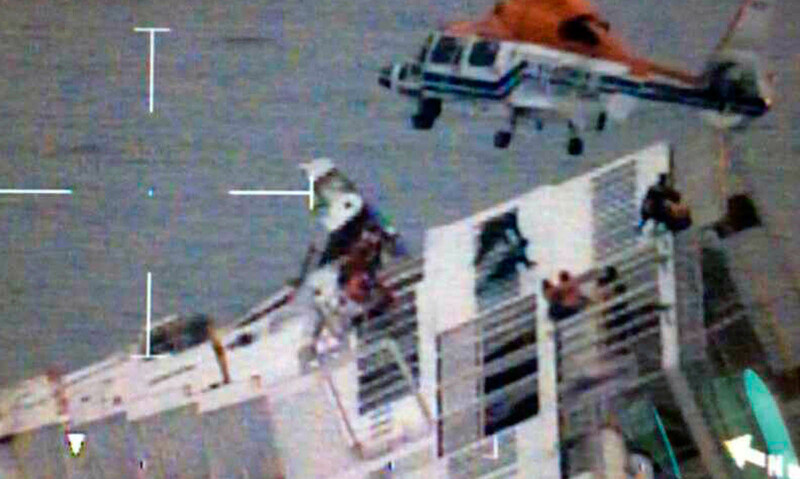 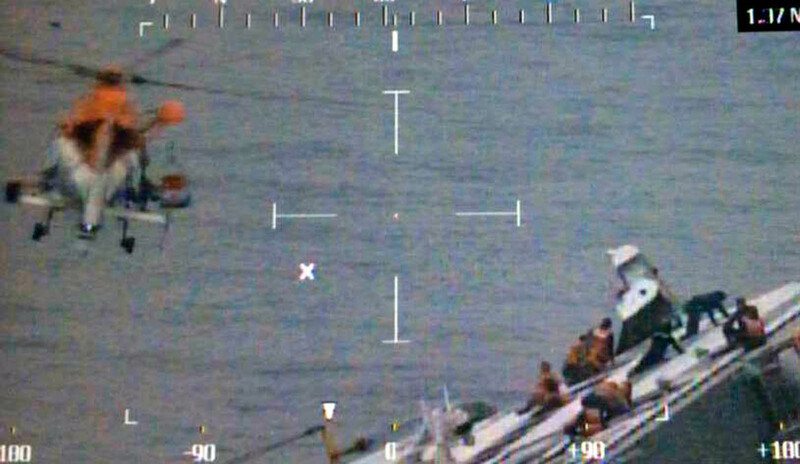 A helicopter from Japan's Self-Defence Force came and rescued me. 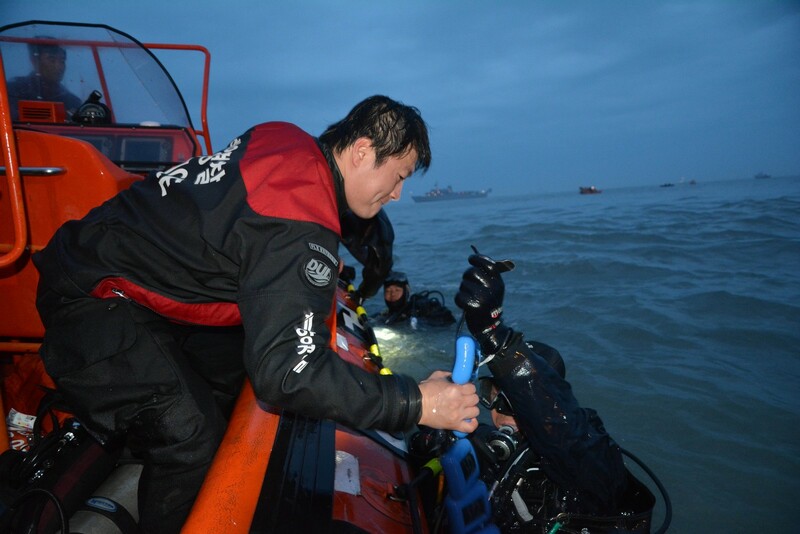 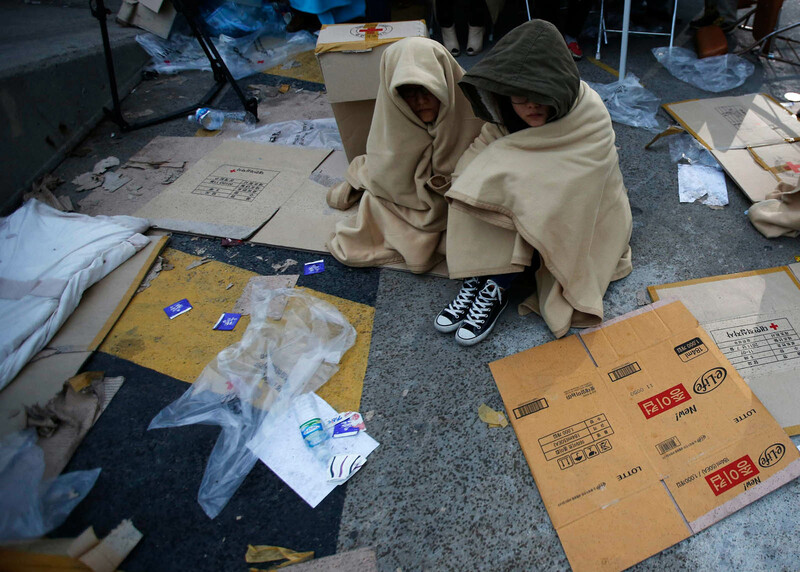 Had it not been for their help, I wouldn't be here now." 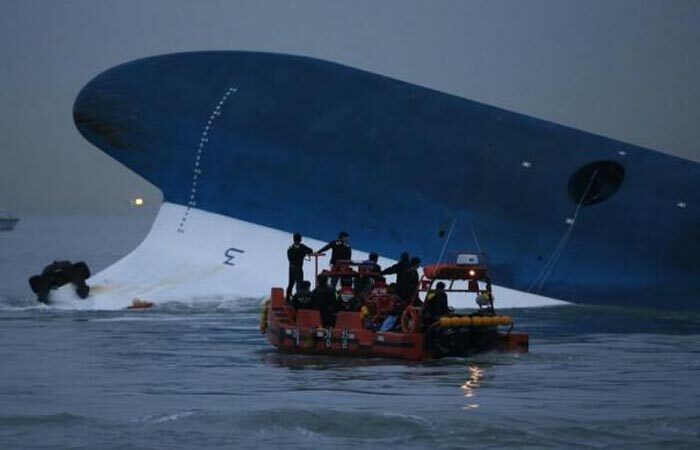 The newspaper did not give further details.